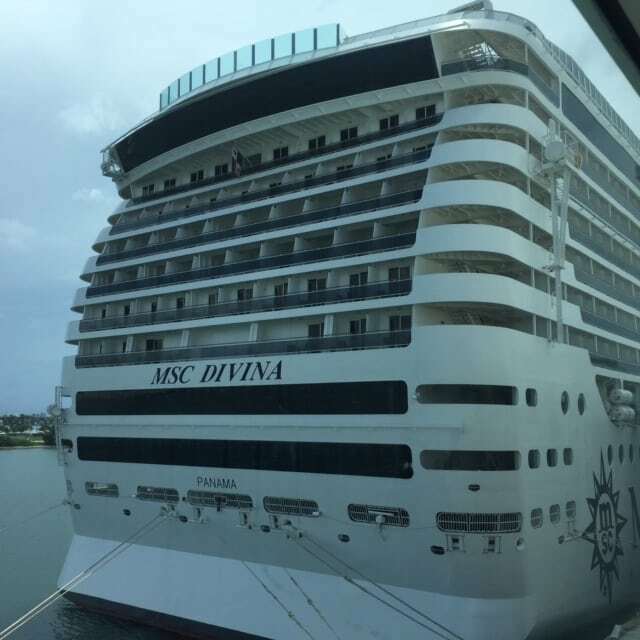 MSC Divina has been sailing year round from Miami, FL since 2013. 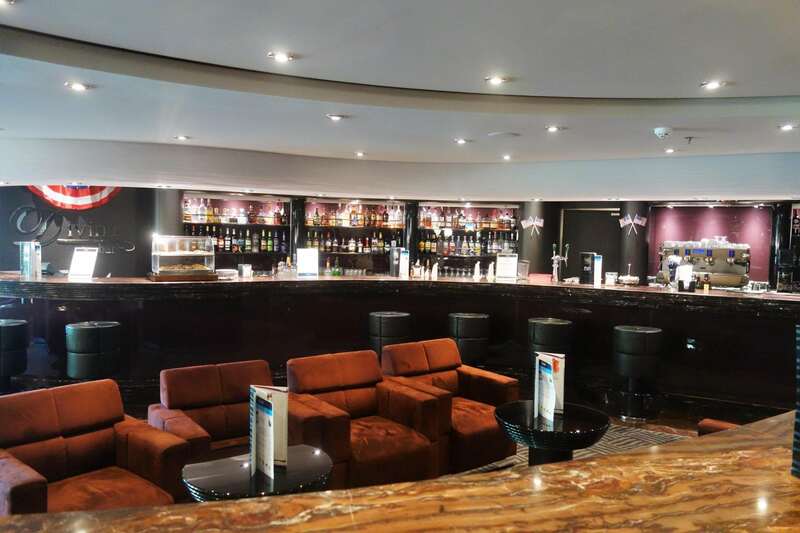 As the largest of the MSC Cruises’ vessels, MSC Divina has a number of bars and lounges, along with three separate pool areas, the largest main theater we have ever seen on a ship, and multiple restaurants. 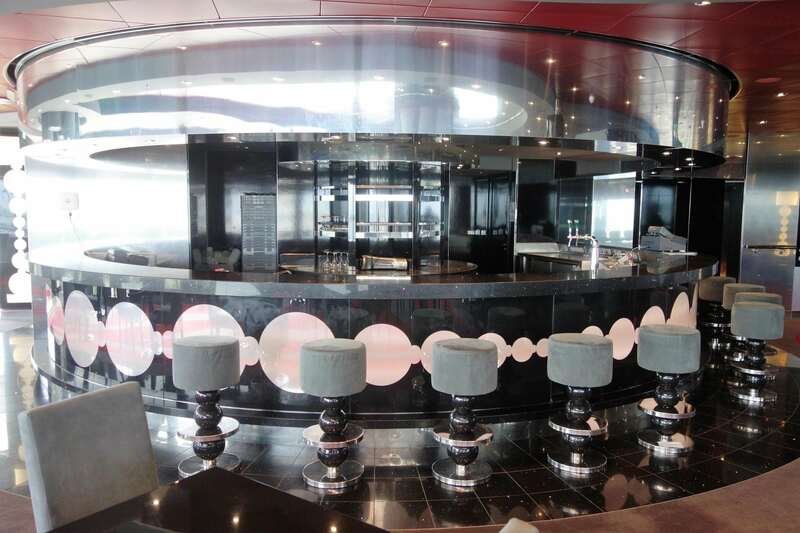 While the style and tone of the ship are more subdued than other contemporary cruise lines, MSC pulls off this sophisticated approach without feeling pretentious. 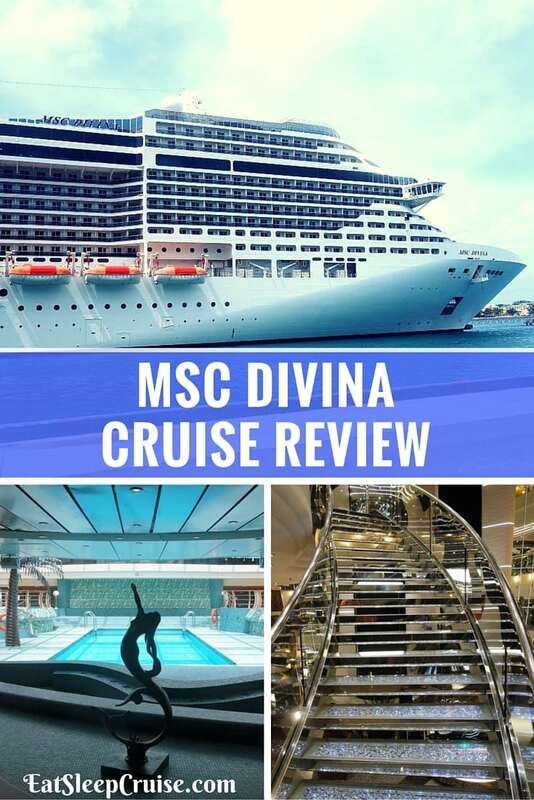 With an eclectic group of fellow passengers, an MSC Divina cruise has a distinct feeling unlike anything we have experienced before on a Caribbean cruise. 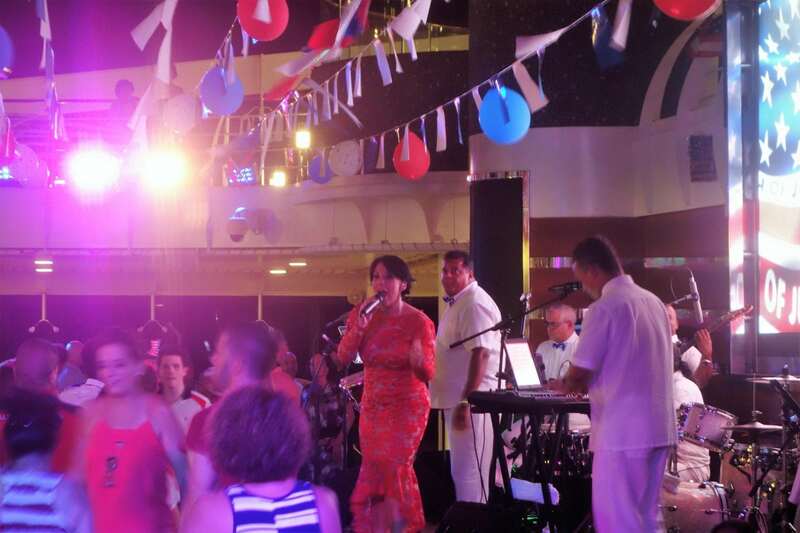 This was a special 3 day Bahamas cruise going to Nassau and Port Canaveral, FL as part of the Fourth of July weekend. 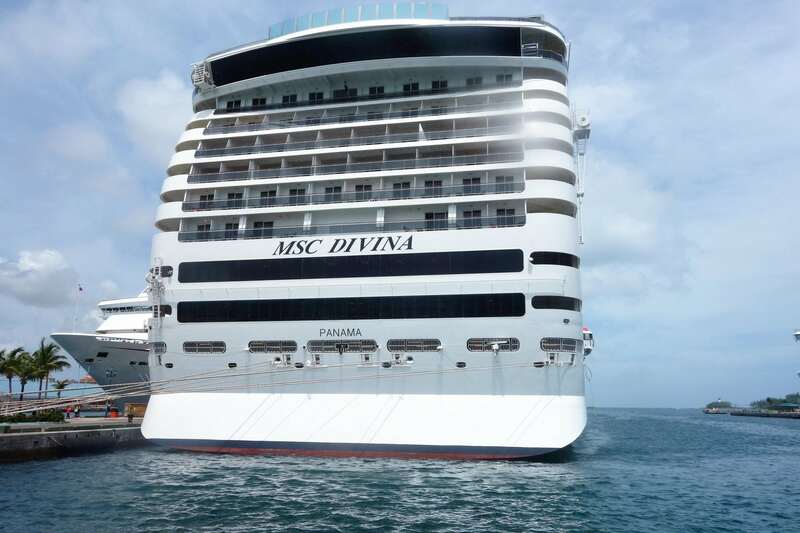 Normally, MSC Divina does 7 night cruises leaving from Miami on both Eastern and Western Caribbean routes. 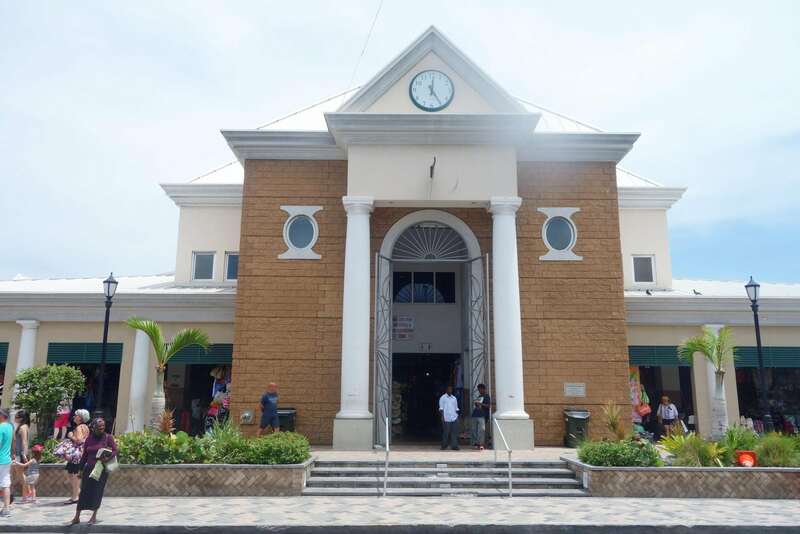 Typical stops include Nassau, St. Maarten, Puerto Rico, Cozumel, and Jamaica, among other popular ports. Given the short duration of our cruise, we stepped off the boat for only a few hours in Nassau, Bahamas- mainly to grab a few photos. We were not alone as many fellow travelers stayed onboard as well to enjoy the amenities and outdoors spaces of this mega-ship. 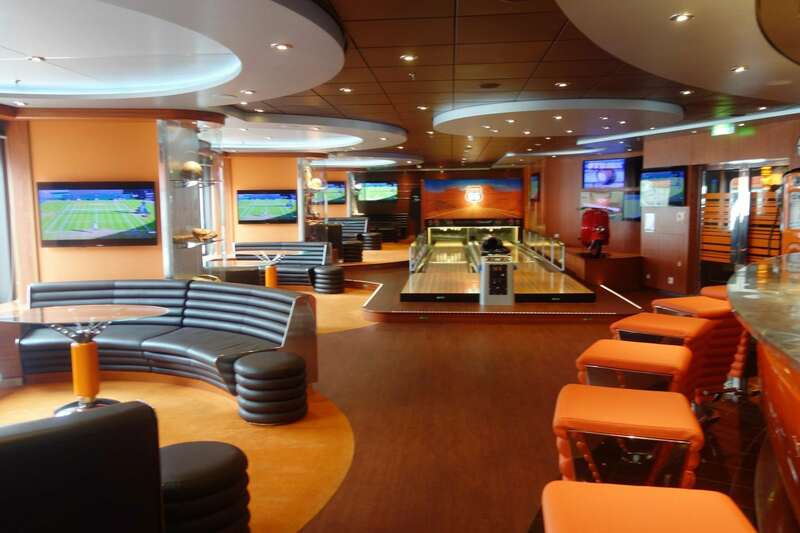 The ship’s public spaces are visually stunning. From the rich amber colors and decor of the Golden Jazz club to the serene feeling you get from the indoor pool, each area has theming and decor that is subtle, yet convincing. 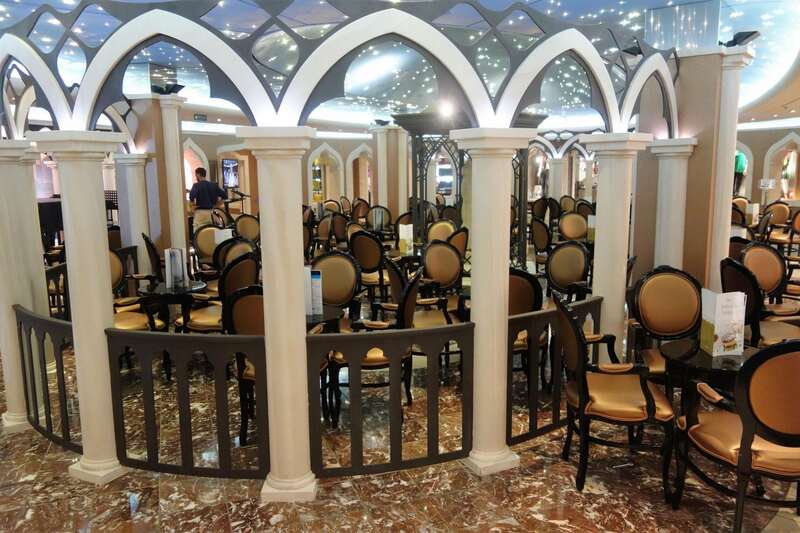 Even the Piazza on Deck 7 elicits a warm inviting feeling like you are in a village square in Italy, almost making you forget that you are on a 100K+ gross ton cruise ship. Staff onboard are among the friendliest and cordial group we have ever encountered on a major cruise line. Even the hustling bartenders inundated with drink orders were always cheerful. Special thanks to the Guest Service staff, especially Mariana from Mexico, who was the nicest and most helpful person on the ship. For a newer ship, technology is a bit lacking. Internet speeds were good- definitely better than our recent NCL cruise, but still nowhere near as fast as RCI’s Voom internet. 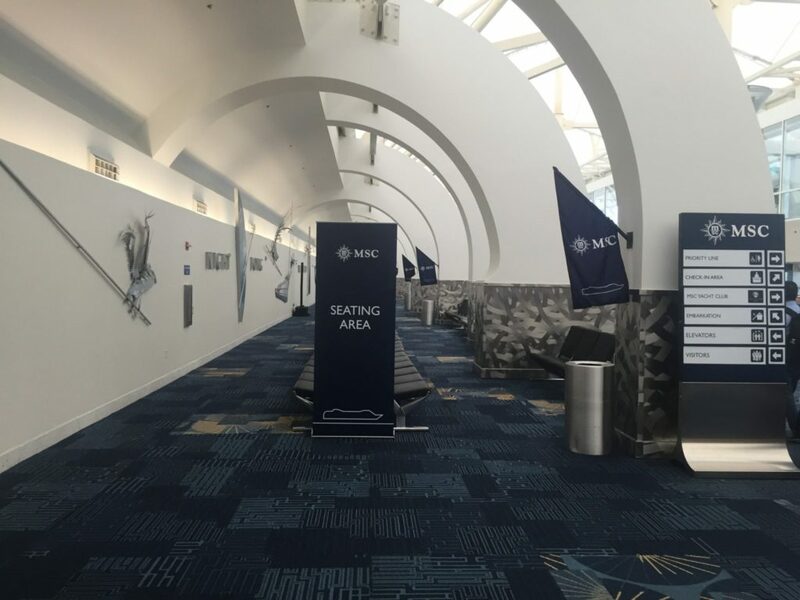 However, MSC employs an old fashioned “wait in line” reservation system, and you still need to rely on a paper Daily Program for each day’s activities. The website advertises a smartphone app but it was not available to download for our iPhone. Plus, you need to register your credit card while onboard at small kiosks, which is easy, just odd that you can’t do this online prior to boarding. 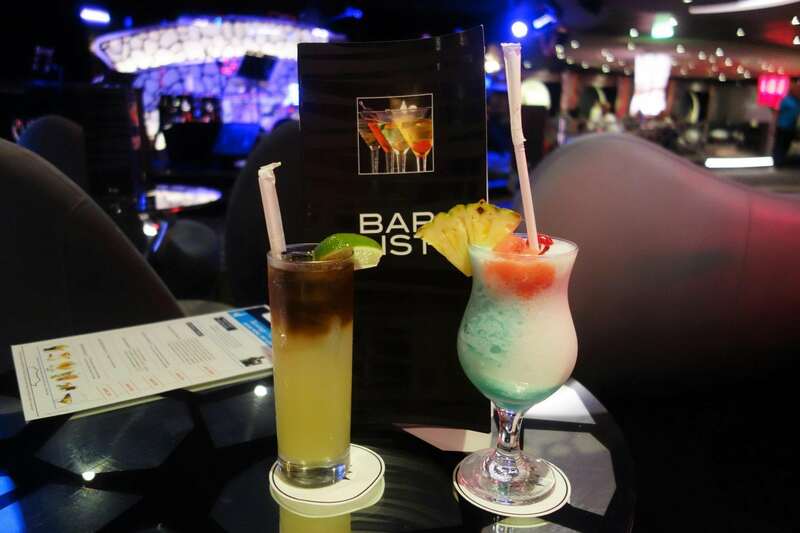 In trying to accommodate cruisers from all over the world, MSC offers a number of different drink packages. For our sailing, only some were offered online pre-cruise. 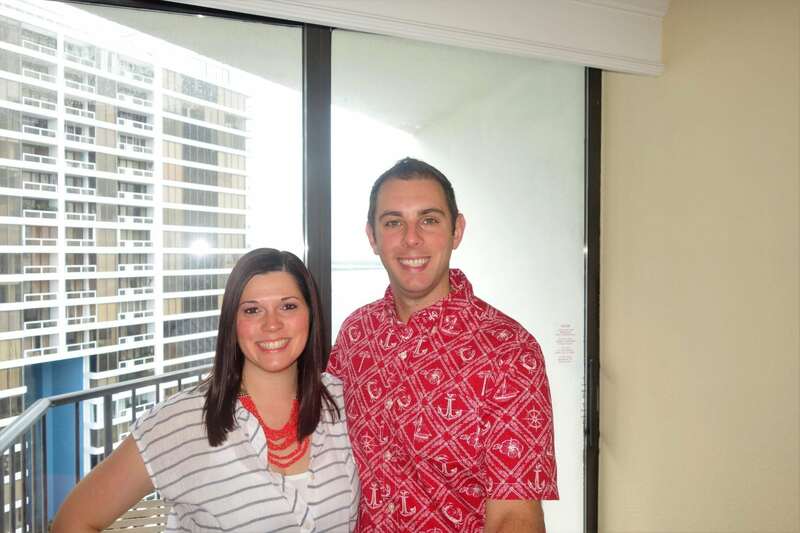 We assumed that since it was only a 3 day cruise, selections were limited; however, that was not the case. Once onboard, you could purchase the other packages. 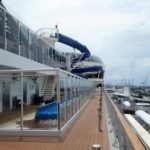 With so many drink package options, cruisers and staff alike seemed to be confused as to what was covered and where on the ship. Your privileges are not tied to your key card, so staff must input different options after swiping. 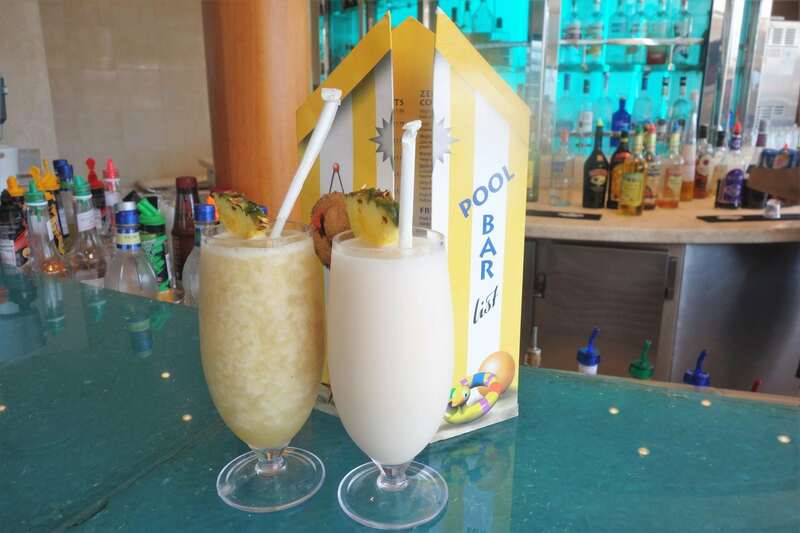 A common complaint we heard had to do with the policies and options of the drink packages as anything purchased before the cruise was non-refundable nor able to be upgraded. 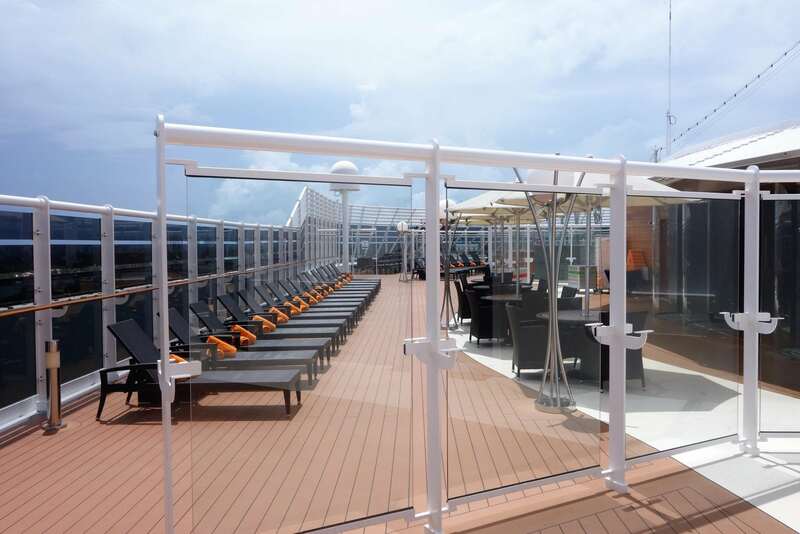 For those looking to take a Caribbean cruise, MSC Divina provides some of the best prices in the Caribbean. 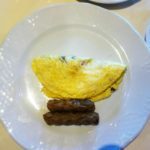 Our cruise was advertised at $299 a person for a three night getaway (Full Disclosure: We were invited on the cruise by MSC Cruises, but all of the opinions this post are 100% our own). You can even score a 7 night cruise for as low as $399. 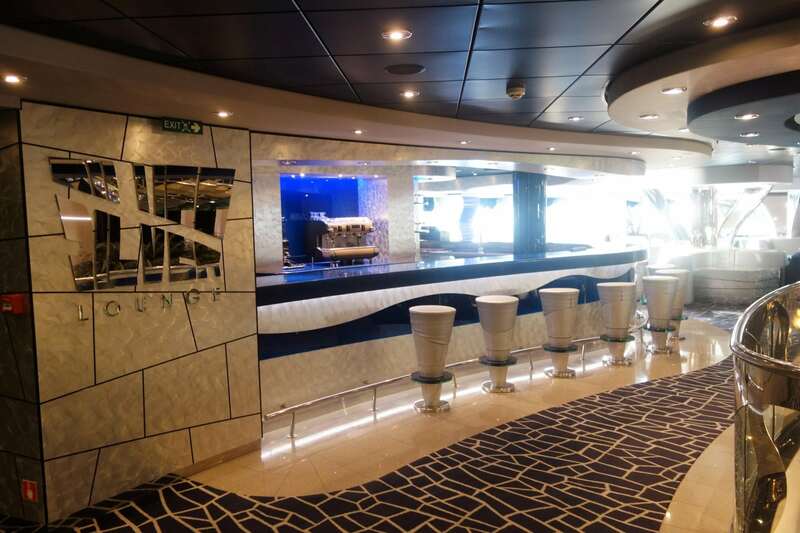 Despite the pricing, MSC Divina still offers that mega ship experience, with a few specialty restaurants and unique onboard experiences like the F1 Simulator and 4D Theater. 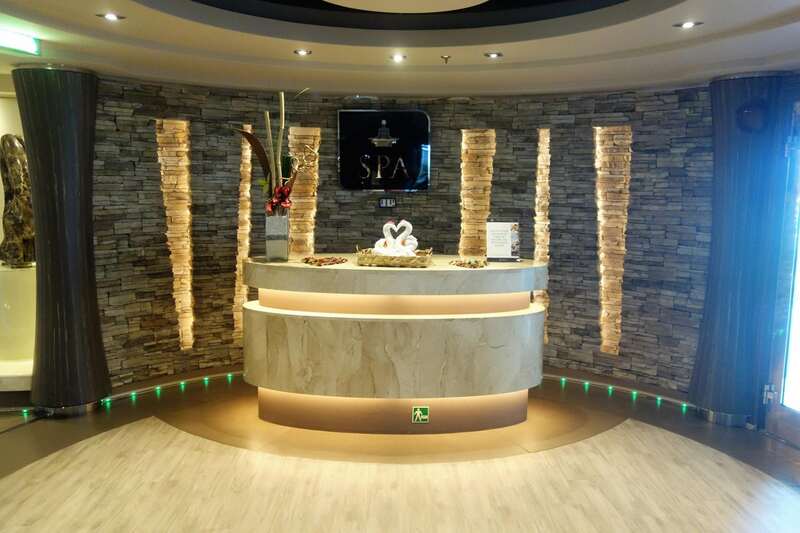 With its elegant decor and diverse public venues, an MSC Divina cruise is a great way to experience a little taste of Italy in the Caribbean while not breaking the bank. 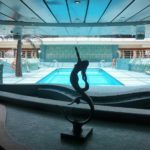 Yes, you are reading this correctly- the Princess and I somehow managed to squeeze another cruise in this year. 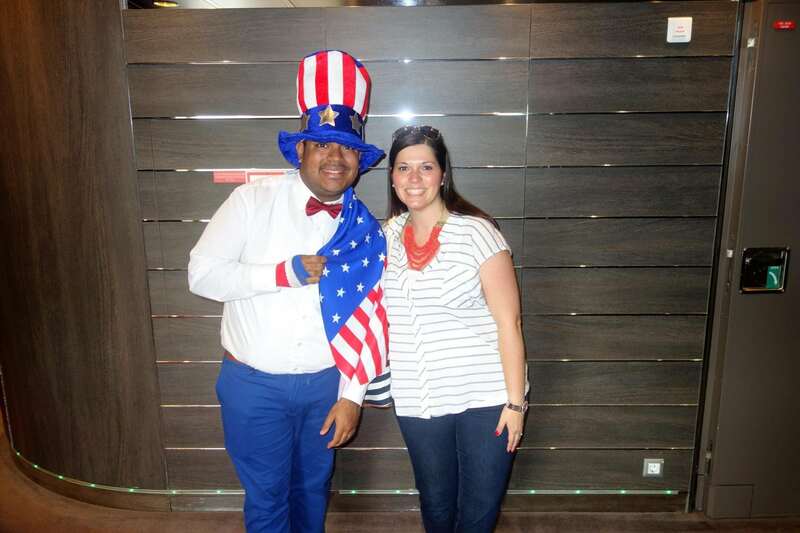 We were fortunate enough to be invited onboard MSC Cruises’ Miami based ship, the MSC Divina, for a special three night Fourth of July cruise. 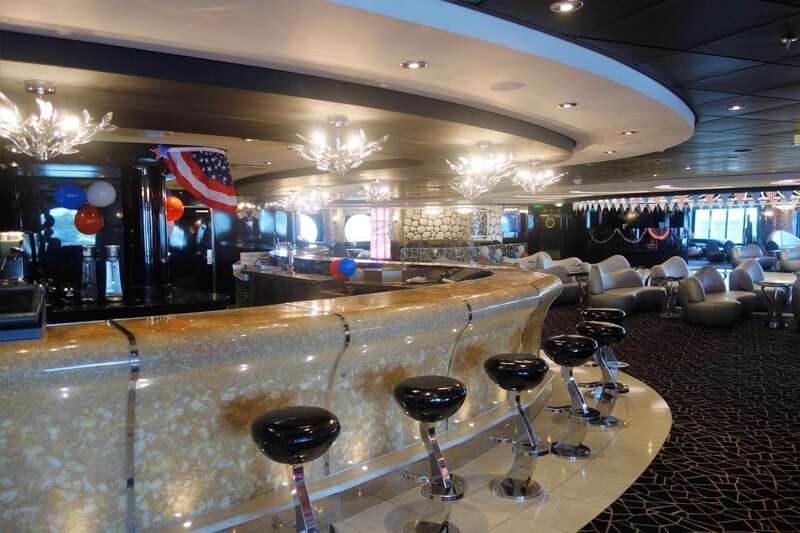 There is nothing more patriotic than a cruise, right? Booking the last flight out of Providence to Fort Lauderdale on Friday, with a quick layover in Baltimore, we didn’t anticipate any headaches due to weather given it was July. We should have known better. Like our last three day cruise on Enchantment of the Seas, the weather gods did not want to cooperate. So, our expected arrival time in Florida of 11:00pm ended up being closer to 2:00am the next morning. 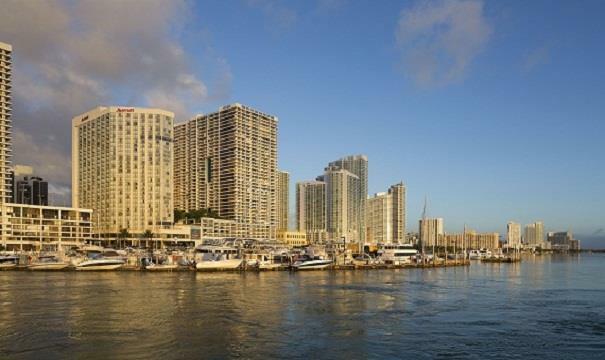 Finally landed and barely awake, we grabbed our luggage and secured an Uber ride to our hotel, the perfectly situated Marriot Biscayne Bay Hotel. This cruise was going to start with less than 5 hours of sleep, after a full day of work! Wanting to be among the first people onboard, we were up around 7:30am to begin our typical pre-cruise preparations. With some coffee and a small breakfast sandwich from the shop in the hotel, we were as ready as we were going to be, so we headed downstairs to check out and grab a taxi. After a quick 5 minute taxi ride, we were at the Port of Miami by 10:30am, greeted by a mass of passengers still disembarking the ship. In port this Saturday morning were the Carnival Glory and Carnival Splendor, as well as the Norwegian Escape, which we had sailed on earlier this year. Maneuvering through the masses, baggage drop-off was a breeze. Security was also quick and efficient, if not too easy. After the security check point, it was a short walk to the check-in area. 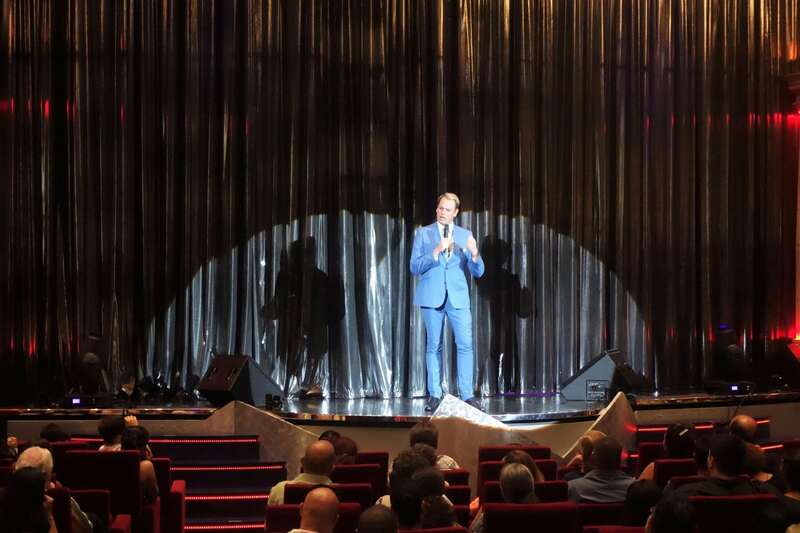 As expected, we could tell quickly that this was going to be a very multicultural cruise. MSC does cater to a diverse clientele of foreign travelers. With a few clicks of the camera and a scan of our passports, the entire check-in process was less than 20 minutes. Given our early arrival, we were placed in the coveted boarding Group 1. Only thing now, sit and wait. 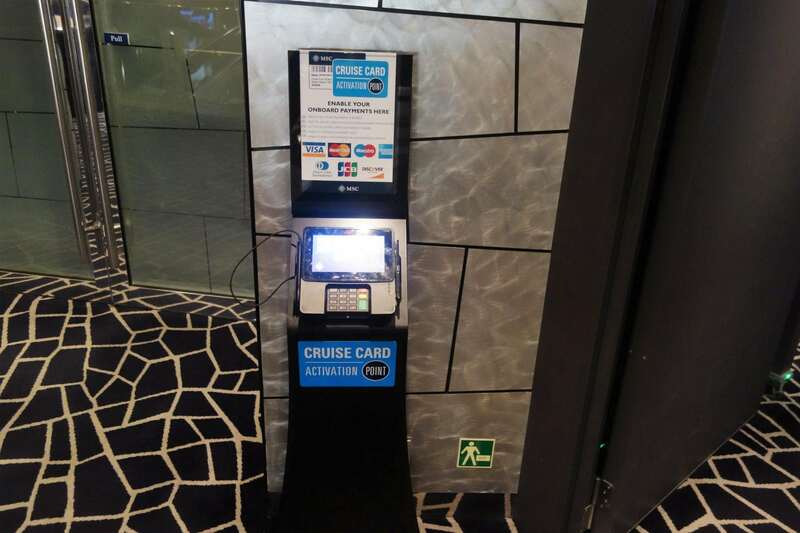 Of note, you do not provide the cruise company with a form of payment during check-in, rather several kiosks exist on deck five that allow you to setup your onboard account. We did this in a few minutes later that day. Most ships start boarding around 11-11:30am, but it was announced that boarding would start around noon. The first group of passengers were called about 11:45am, with the MSC Yacht Club and high status members being ushered onboard. Then, it was our turn. Weaving through the group of cruisers who had crowded the entrance way, we handed in our boarding card and were onboard before noon. As always, our first priority once boarding is taking pictures. Boarding on deck 7, we took the midship elevators up to Deck 14, then a few flights of stairs to decks 15 and 16 (aft) to begin snapping photos of the Solarium, Garden Pool and Garden Bar, and all of the outdoor decks. 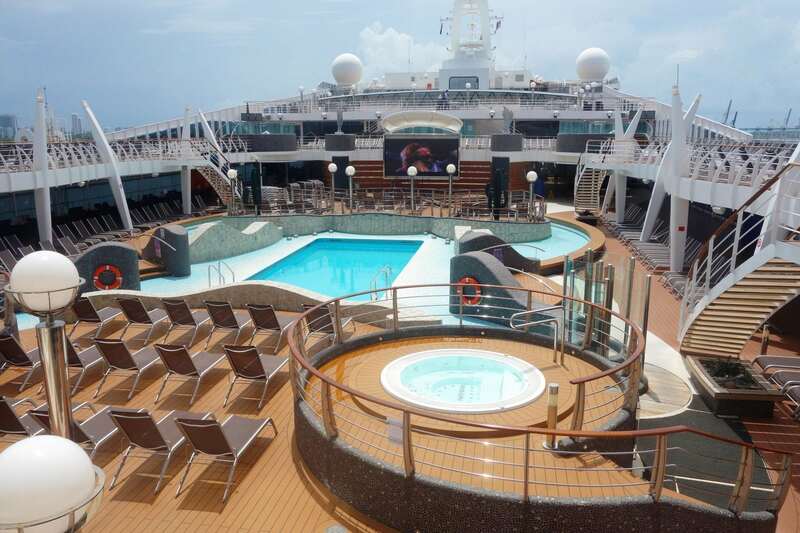 MSC Divina has a layout that is not very intuitive. Even for seasoned cruisers, it took a few days for us to figure out the maze-like layout of the ship. Our photo tour took about two hours. Unlike our recent cruises, we were able to get most of the public venues and spaces captured without many other travelers. 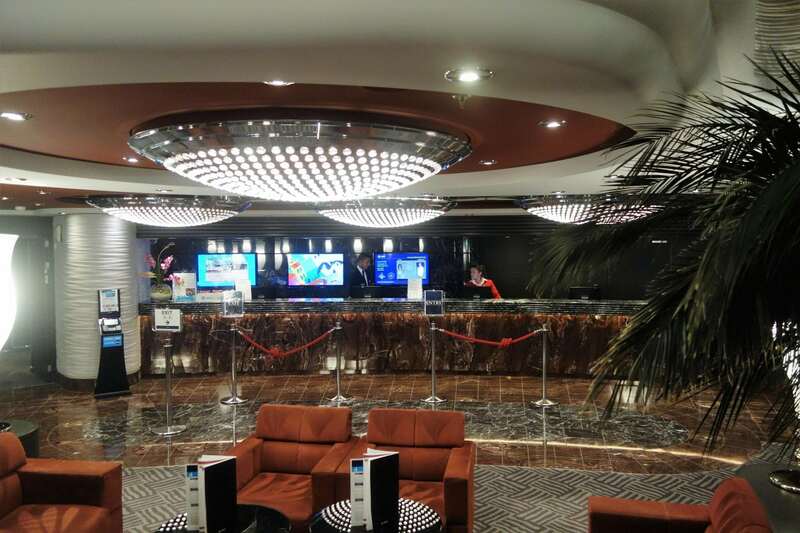 Most fellow cruisers seemed to congregate inside in the central atrium or in the buffet rather than by the pools. Completing our rounds in record time, and the rooms still not ready, it was time for our first drink of the cruise…coffee. Our jet lag was starting to kick in. 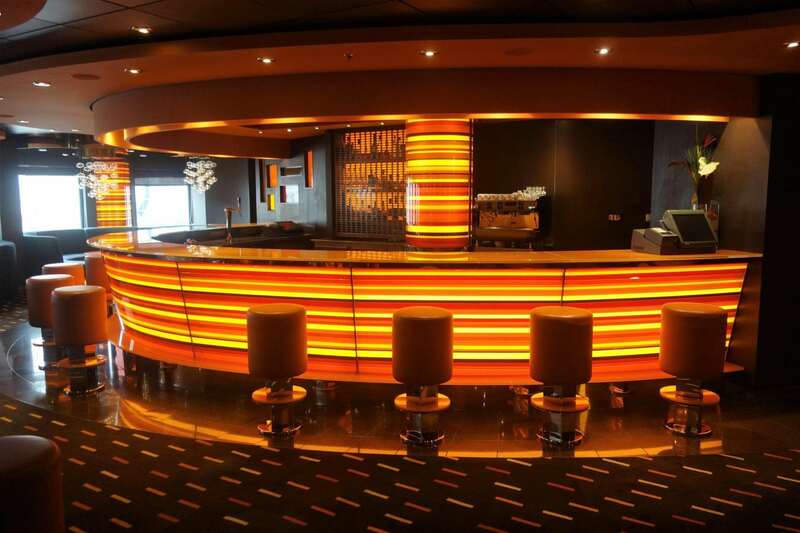 There are a few venues on MSC Divina that serve up some of the best coffee at sea. 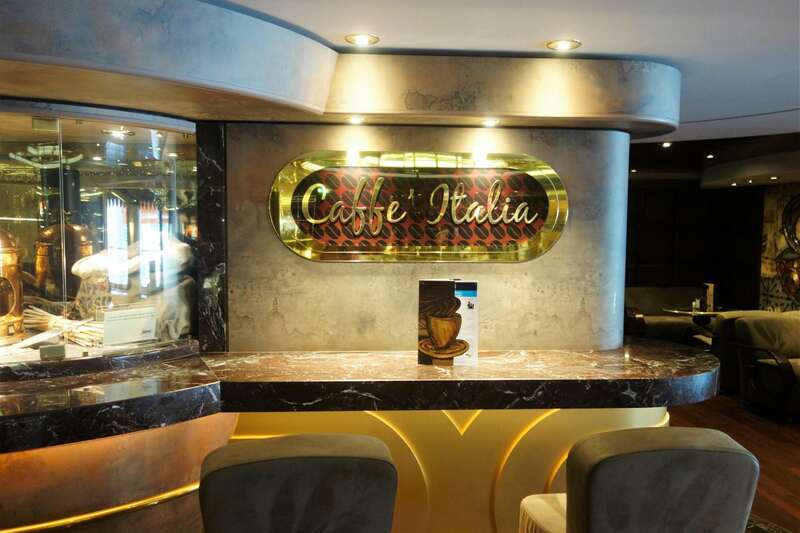 Caffé Italia, on deck 7, ended up being our go to spot. 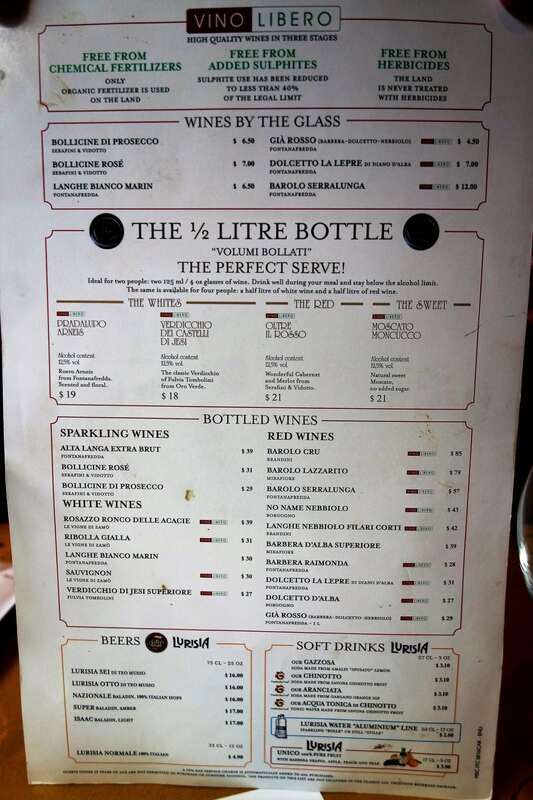 As part of our press package, we were given a drink package that included soda, water, and coffee at all venues throughout the day and house wines and beer at lunch and dinner in the restaurants only. At least, that is what was supposed to happen. Knowing that we would be completing our drink around the ship tradition, we purchased one of the voucher drink packages that covered most beers, wines, and drinks up to $8 prior to sailing. It did not cover a few Premium and Ultra Premium cocktails, but that ended up being fine as we were still able to sample plenty of options within the allotment. After being told that our press drink package didn’t cover coffee, we headed down to guest services to try to rectify the issue. Mariana was the friendliest and most courteous guest services’ staff member that we have ever met on a ship. When we encountered other little issues during the cruise, I went directly to her, and she was quick to get things resolved. By this time, the rooms were ready. Trekking up to Deck 10 forward, we arrived at our balcony stateroom. 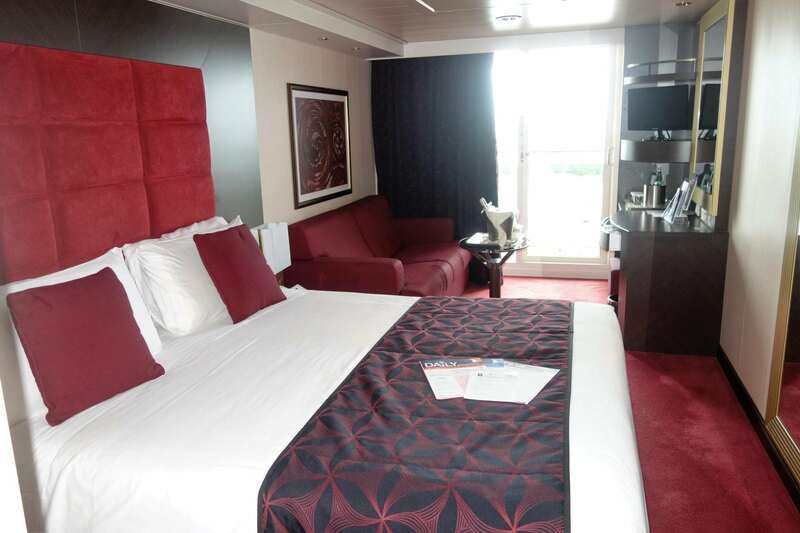 The stateroom had a traditional layout, minus the location of the closet. 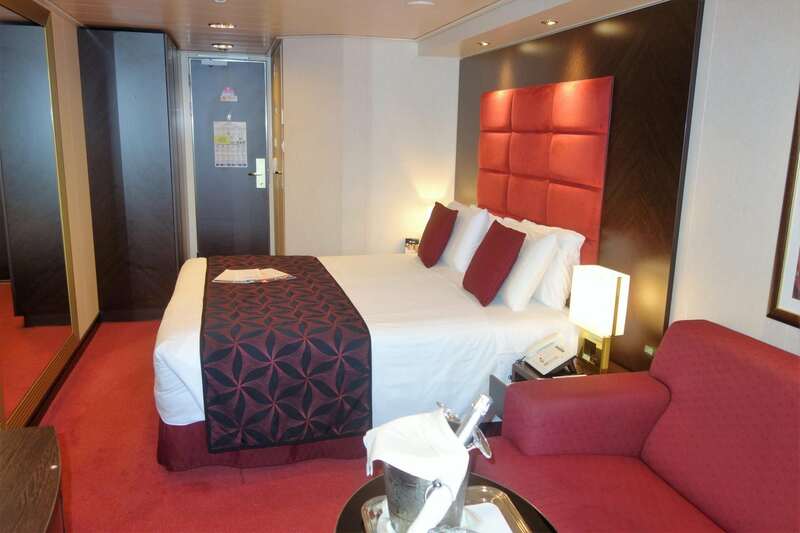 Compared to the rest of the ship, the staterooms seemed a bit plain. Our luggage had not arrived yet, so we did what any other cruiser would do now- headed to the buffet. For a ship this size, the buffet is adequately sized. The most popular stations were the freshly made pizza and grill; having only one location right in the front, these stations did generate a huge line most times of the day. But, the wait is worth it, as we could not resist grabbing some pizza. After reading all the hype of it being rated as some of the best at sea, it certainly did not disappoint! Given our late lunch, we went back to our room in preparation for Muster. To our surprise, and appreciation, our bags had finally been delivered. Unpacking as quickly as possible and grabbing our life jackets (yes, you still need to bring them with you to muster on this ship), we strolled into the scheduled 4:30pm drill a few minutes late. Our muster station was in the Piazza. Muster does occur in a few languages, but itseemed to go by quickly. This might be because we spoke to a few folks next to us who have virtually traveled the globe via cruise ship on pretty much every brand under the sun. 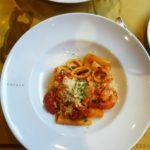 Finished with the mandatory muster, we tried to make dining reservations at the signature specialty restaurant Eataly. However, reservations (via phone or at the restaurant) could not be made until 6:00pm. With a 5:30pm main dining room seating, we did want to risk skipping dinner and not getting a reservation. 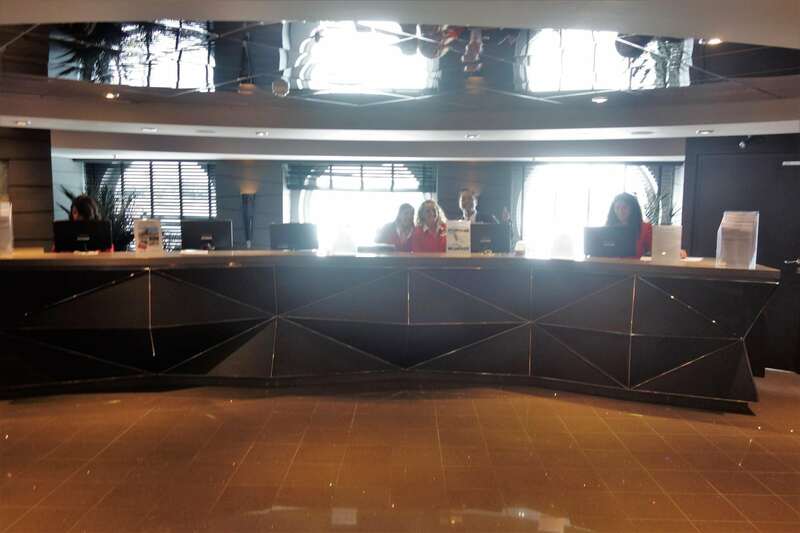 Back to my friends at Guest Services, the concierge was able to get us a 7:00pm reservation without issue. The Princess went back to the room to change up for dinner, whereas I grabbed some bottled water and spent some time navigating the interior of the ship. 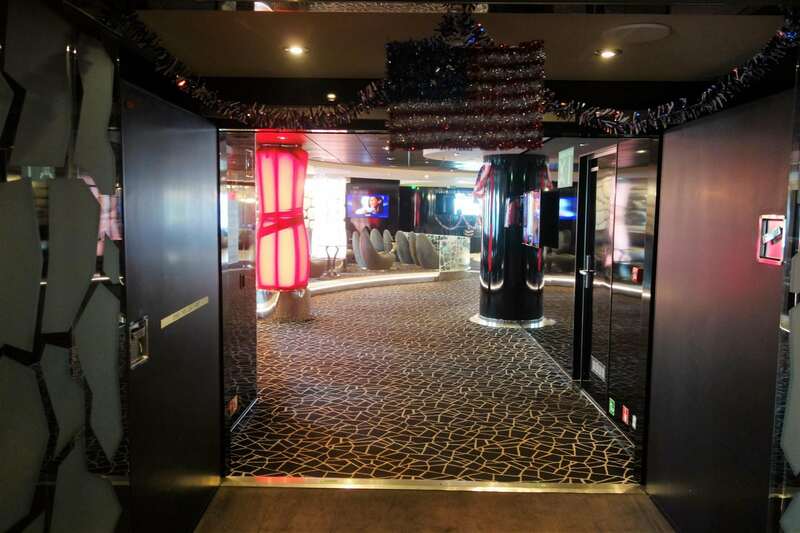 The layout is definitely a bit confusing, especially trying to get to our dining room on Deck 6 aft. Good thing there are some signs pointing you where to go. 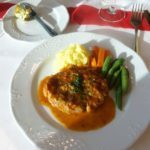 As we were preparing for dinner, our stateroom attendant, Devi, stopped by to introduce herself and to confirm our dining. I think she was expecting us to be at dinner, so we let her know that we had a 7:00pm reservation tonight. That would be the only time we would see her for the remainder of the cruise. Arriving right on time for our Eataly reservation, the restaurant was not crowded- in fact, it was quite empty. 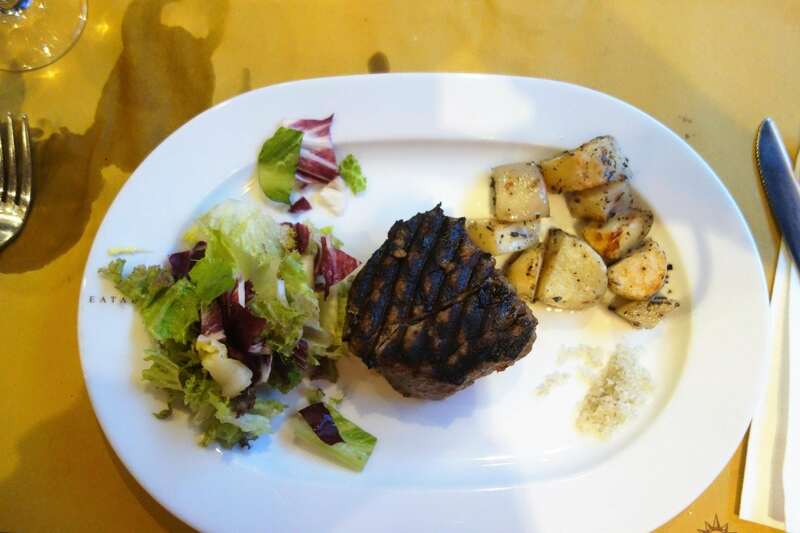 To test out the menu, we each got an app, a pasta dish, and I went with the waiter recommended tenderloin. 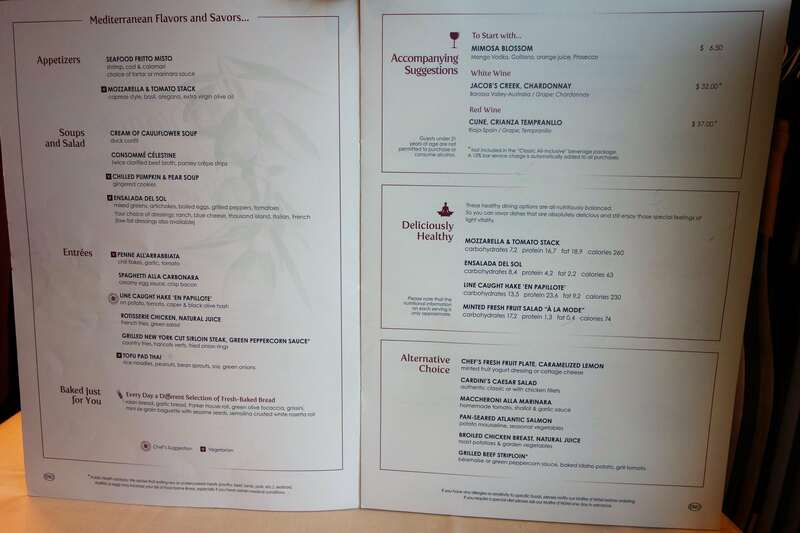 There is also an extensive wine menu for the venue as well. 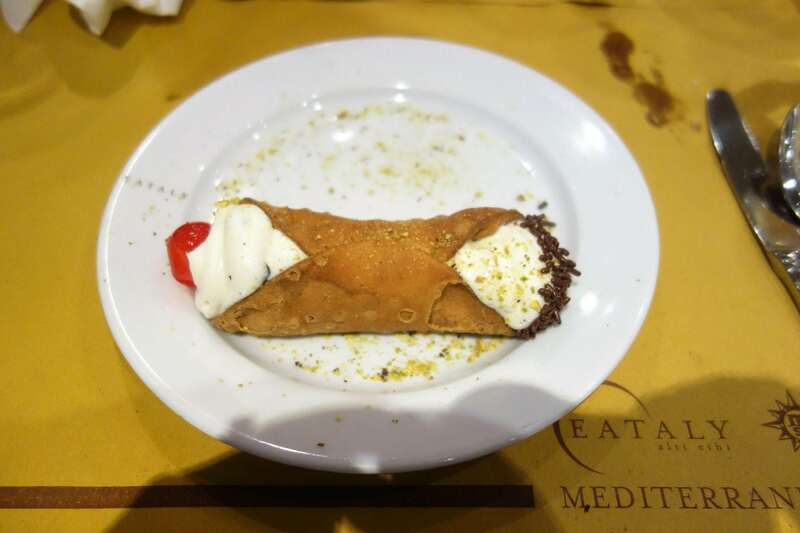 Yes, the wife passed on an entrée, but she could not resist the cannoli for dessert. The cannoli and the fried donuts were both great. Dinner service was a bit slow, taking close to an hour and 45 minutes. 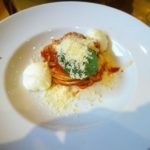 We both agreed that the highlights of the meal were the pasta dishes. 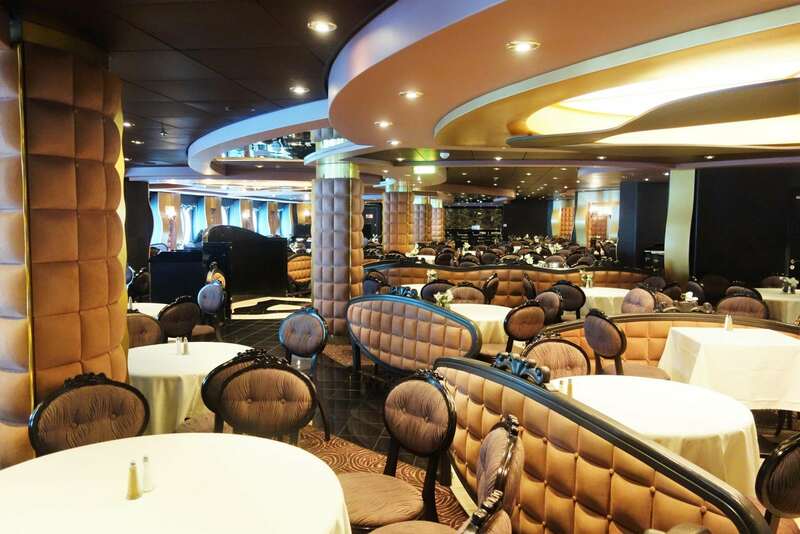 If you like to eat, we suggest investigating a dining plan as all specialty restaurants on the ship are a la carte. The prolonged dinner meant we were a few minutes late to the show this evening,The Amazing Mask. We sneaked in the back and were able to find some seats off to the left of the stage. Based on the Jim Carrey comedy, this show is a high energy dance show that recreates a few of the notable scenes from the movie. Seemingly a bit dated, the singers and dancers were good nonetheless. Ending right around 9:30pm, we made our journey to the aft of the ship to the Black and White Lounge for our first official cocktail in our drink around the ship tradition! 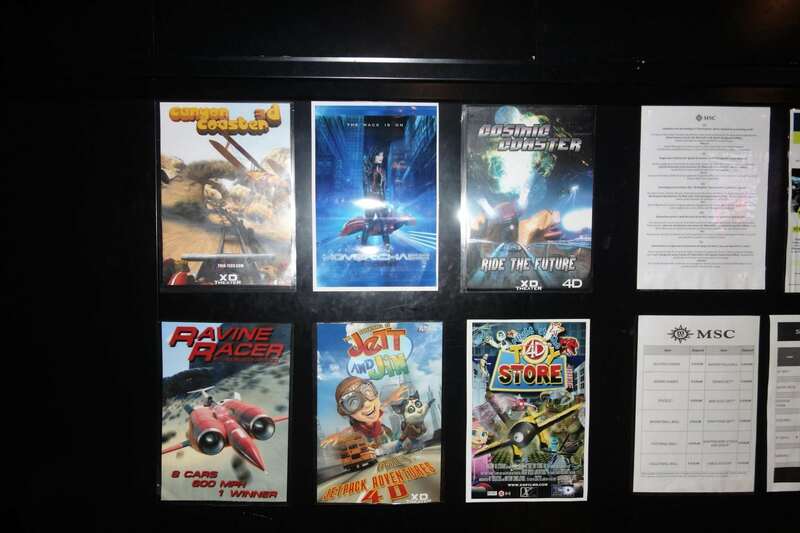 Along the way, we glanced at the Welcome Aboard pictures, which we put in the “maybe” pile. Both the Princess and I have two left feet, so joining the Rock and Roll dance class that was in session in the lounge was certainly not in the cards for us. Instead, we people watched and enjoyed our drinks before moving on around 10:30pm. Along the way, we made another pit stop at Guest Services- this time to figure out the login to our internet package. 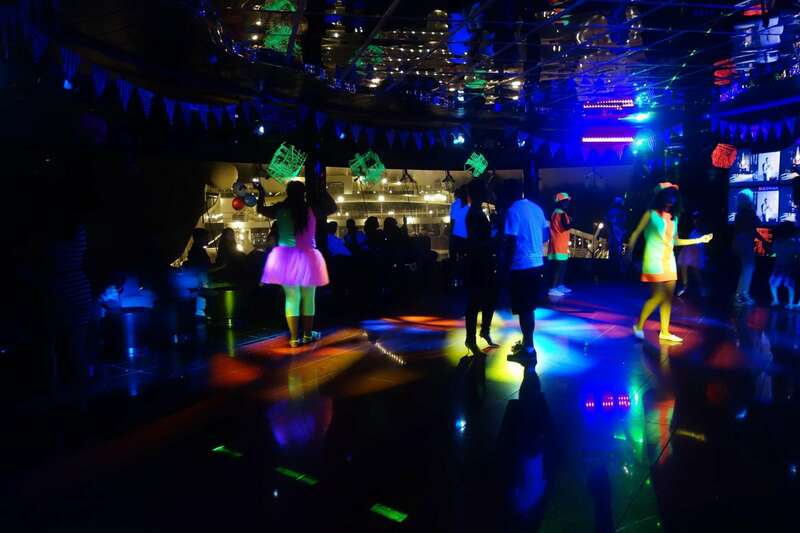 Then, it was up to the Black Light Party in the Galaxy night club. 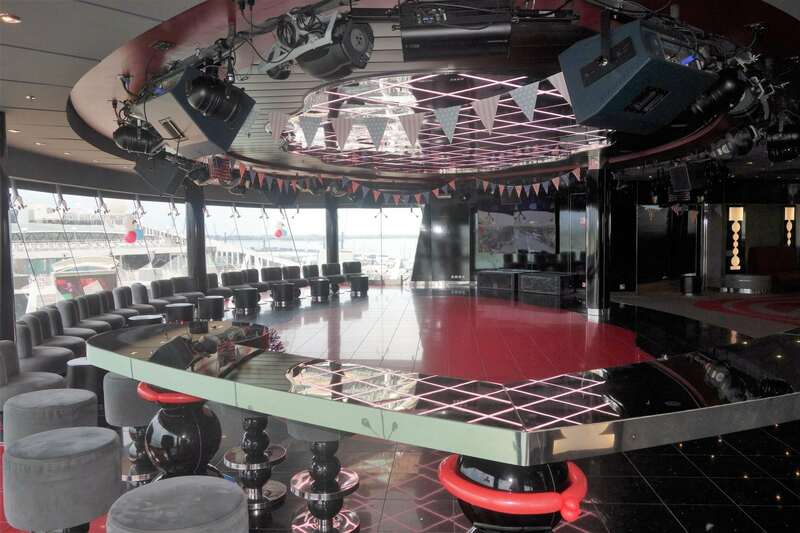 Located midship on Deck 16, this late night disco got busier as this short cruise went on. Tonight, the Black Light party did not attract too many cruisers, at least for the thirty minutes or so we attended. Not helping matters, we stood on the sidelines and watched until we decided to head back to the room after a long day. 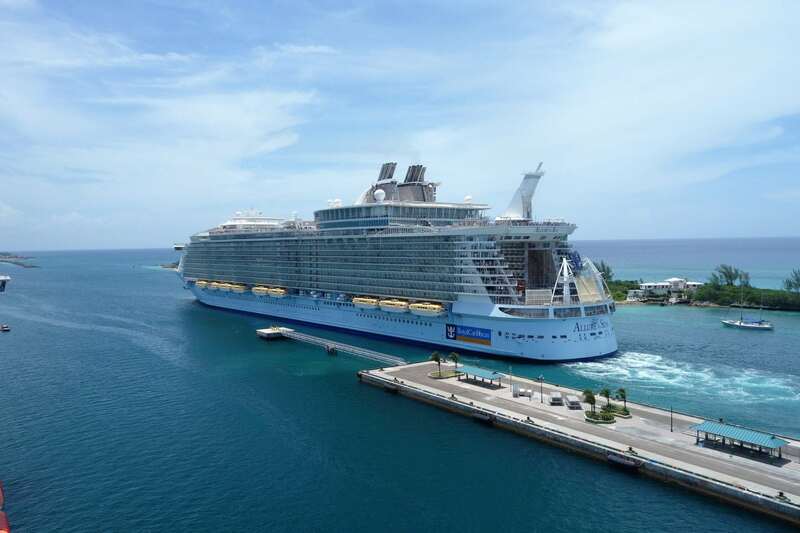 This three day cruise was set to visit Nassau, Bahamas and then Port Canaveral, FL. Until we looked at this morning’s Daily Program, we did not realize that the itinerary had been flipped, with us visiting Port Canaveral today. This was the ship’s maiden call to the port, which meant travel agents and media would be touring the ship. Too bad for them, we had a full day head start. We were up early at 6:30am. As the Princess got ready, I made my traditional coffee run. Along the way, I was able to get a few interior pictures with no other passengers in them. Cruise ships are usually pretty quiet in the mornings, but this morning seemed to be a ghost town. 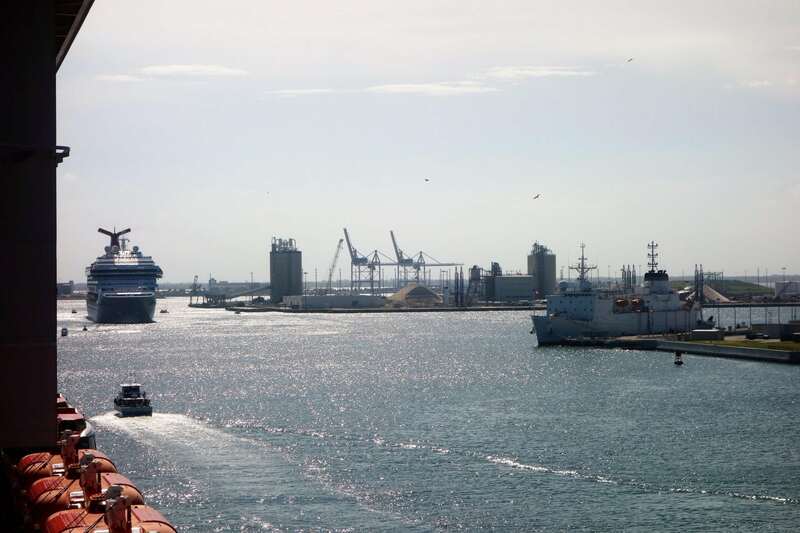 As I was roaming the ship, MSC Divina was creeping into Port Canaveral. A Royal Caribbean ship and two Carnival ships were in port today. 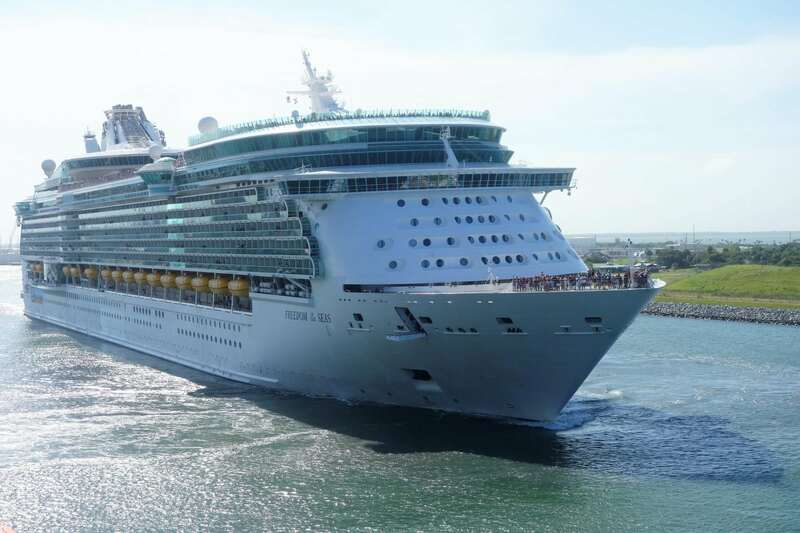 Diligent as always, the Princess was able to quickly snap a photo of Freedom of the Seas, which was right alongside us as we slowly docked. Switching spots in the tiny bathroom has become second nature to us now, so after getting ready, we were able to get to sit down breakfast right before they shut the doors at 8:30am. 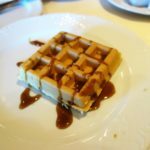 With standard breakfast selections, though the waiter seemed to forgot our sides, breakfast was fast with us exiting a little after 9am. After a little social media and blogging, we were ready to take on the outdoor decks, arriving at the Garden Pool for 10am. Greeted by an unusual number of fellow cruisers, it was apparent that not many passengers would be getting off the ship today. Still, we were able to find two lounge chairs with some direct sun a few steps away from the pool. While the Garden Pool was once considered the adults only pool, this did not seem to be the case. In fact, there were children of all ages present on both days. MSC does not have life guards, but they do have “pool attendants” who oversee each pool to make sure most of the posted guidelines are enforced. We braved the pool once to cool off from the 90 degree heat, but it was crowded and had too many kids for the Princess’ liking. Trying to make up for yesterday, we started our drink around the ship early. 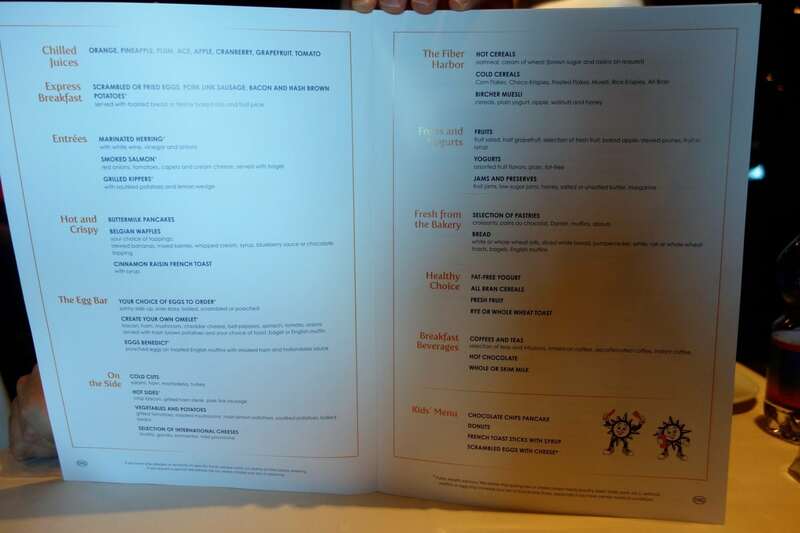 MSC Divina’s bar menu is quite extensive, but most bars offer the same cocktail options. 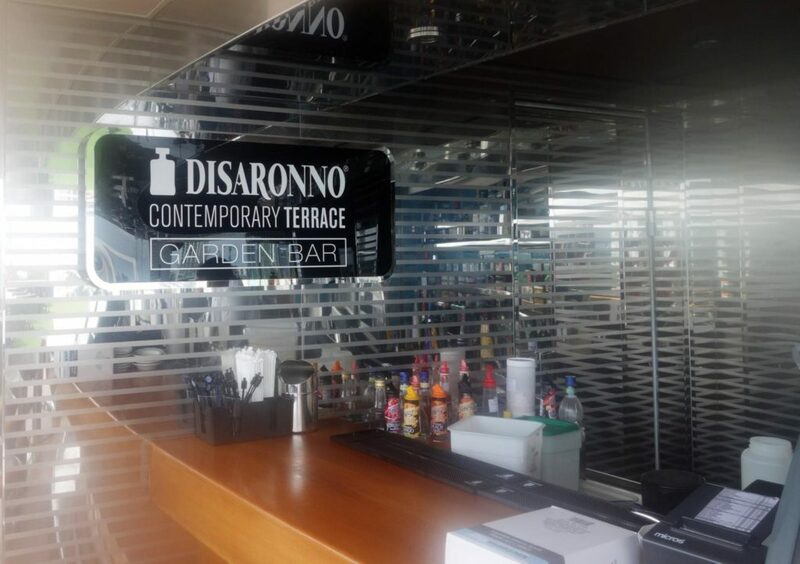 There are a few exceptions, and the Garden Bar is one of them as it features a few signature drinks with Disaronno. The Princess went with the cruise special, the Firecracker. 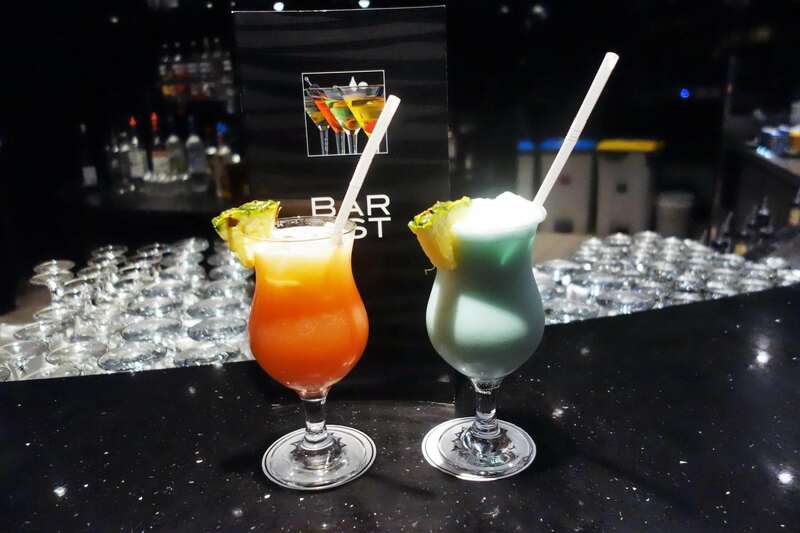 It was basically a Miami Vice with a splash of Blue Curacao. Me, I had to try one of the signature cocktails named the God Father- labeled as “a drink that commands respect”. Sipping drinks in the partial shade near the bar, it was a momentary reprieve from the hot and sticky weather. Back to our seats, we could only tolerate another 30 minutes of sun before needing some A/C. At this point it was around 12:30pm, so we headed back to our room for a quick breather and social media check, then decided that we would give the main dining room lunch a try. The Black Crab is the main dining room that is open for breakfast and lunch. When we arrived, we realized we were not alone. 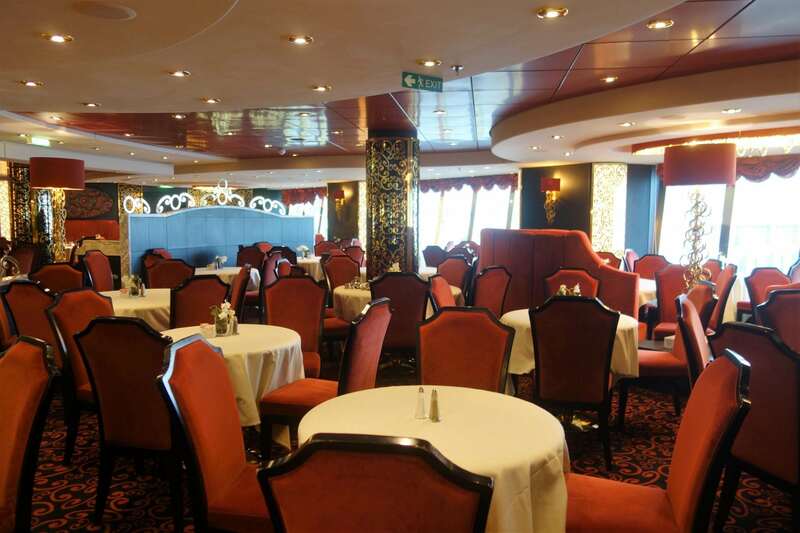 Not anticipating the crowds, lunch was jammed with other cruisers who too did not leave the ship and wanted a more relaxed lunch. 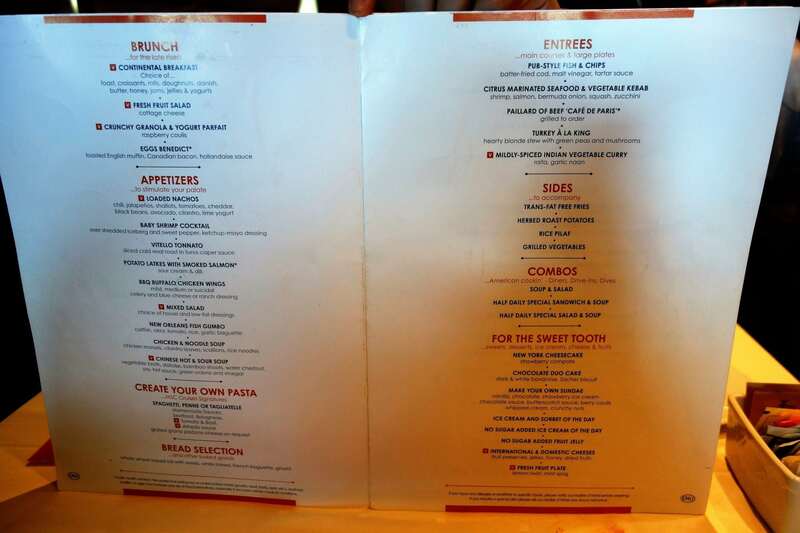 Given the demand, our waiter gave us the menus and then immediately wanted to take our order. 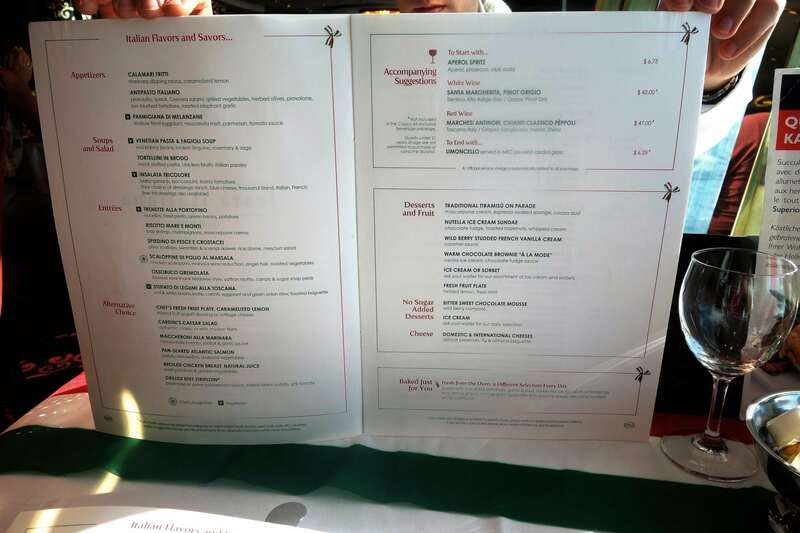 Even I needed a minute to review the menu, and take pictures of it, so we kindly asked for a minute to look it over. With a quick scan of the menus, we both ordered an app, entrée, and dessert just to be safe. The dining room staff were hustling to serve the unexpected number of hungry guests, so we didn’t mind that it was a bit slow. 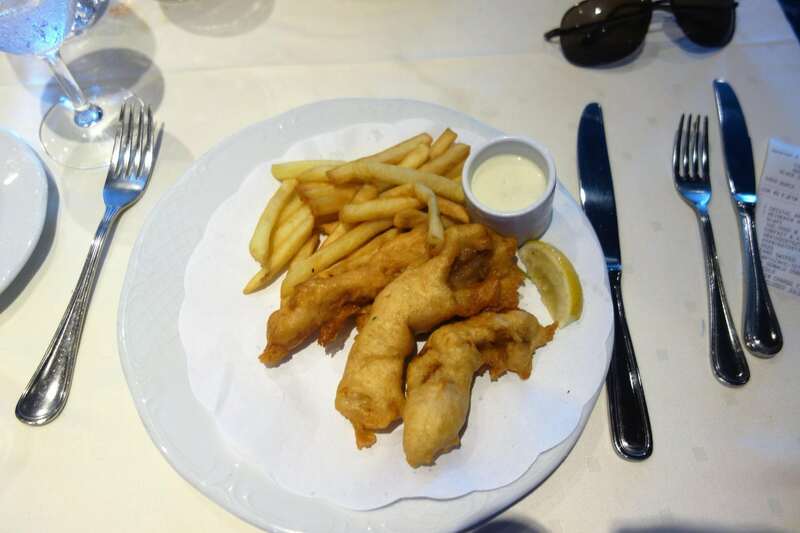 It was a hearty but not so healthy combination of chicken wings and fish and chips for me. The wife’s chef salad was as expected, but the nachos (which she got as an entrée) left a little to be desired. Not that we needed it, but we both got dessert too. Being around 2:30pm now, we decided to stay out of the afternoon sun. Among the indoor attractions is the Virtual World on Deck 16. 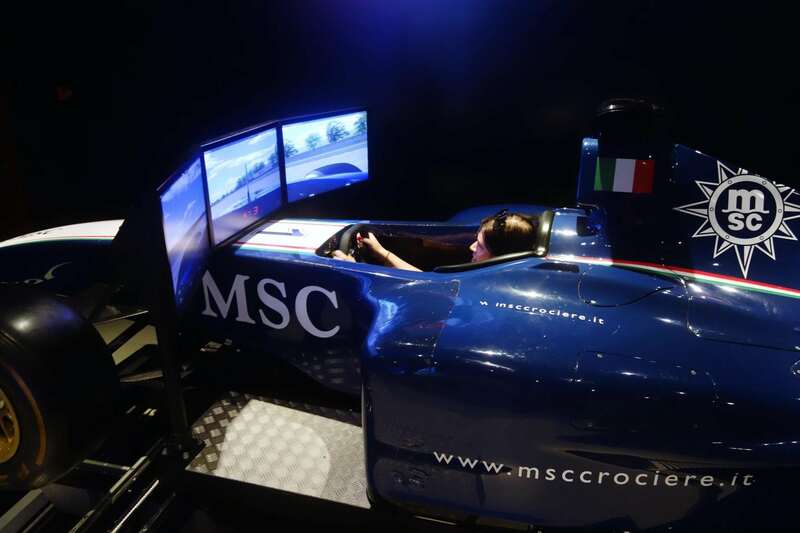 Here, you can experience firsthand what it is like to drive an F1 race car or experience a 4D movie (think amusement park simulator). With a small line, we got to experience each of these attractions over the course of about an hour. 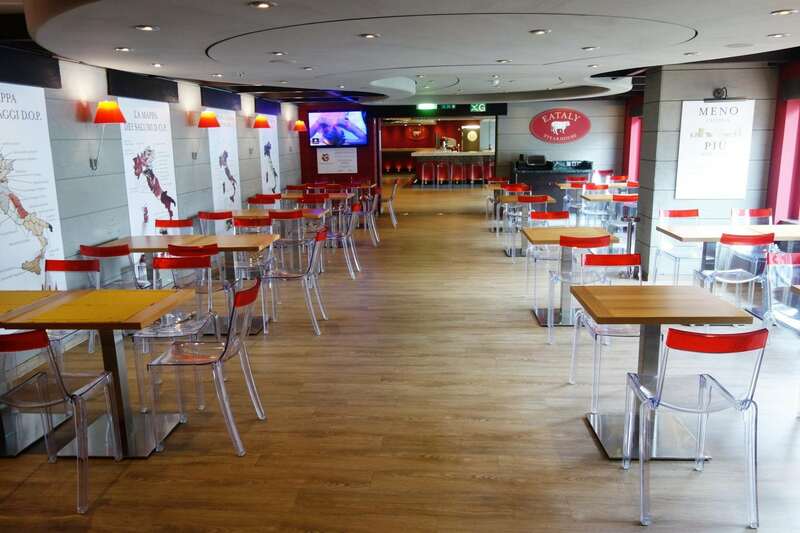 For those adrenaline seekers, a cruise long pass is available for unlimited access to the 4D movies, F1 simulator, and bowling in the Sports Bar. Reservations cannot be made at these attractions. We found that the line was only a few people deep for the race car, and there was virtually no wait for the 4D movie. 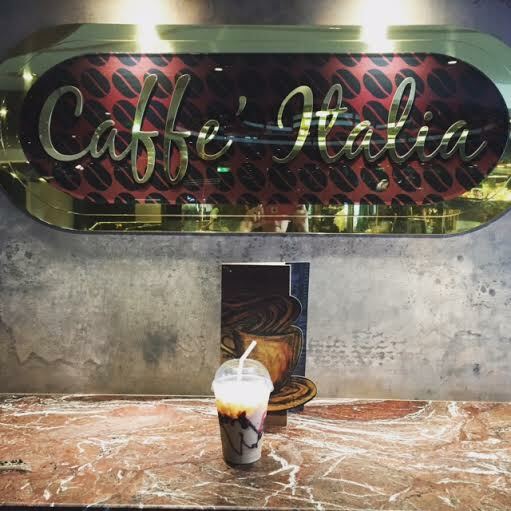 Even though our hearts were already pumping from the fast paced experience of Canyon Coaster and the race simulator, we knew there was a long evening ahead of us, so we made our way down to Caffé Italia for some afternoon iced lattes (which ended up being frozen?!). 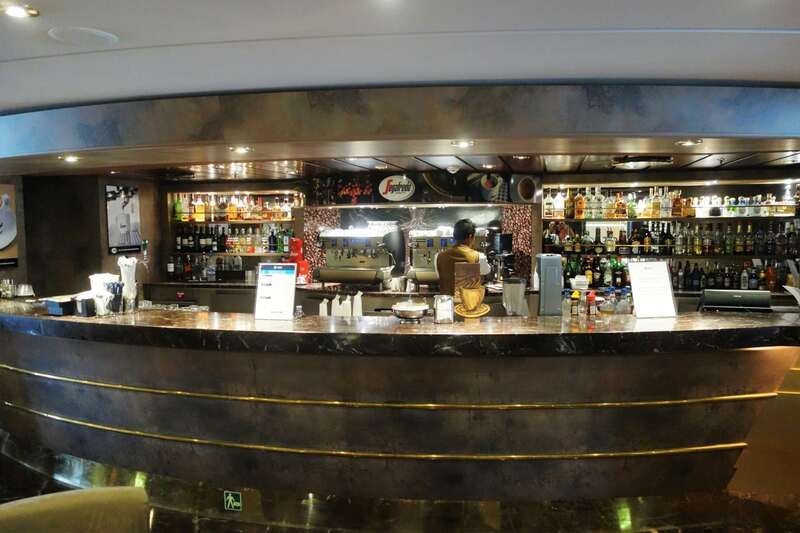 Serving Italian brand Segafredo coffee, it is definitely among some of the best java at sea. Normally, I am too economical (read cheap) to get a balcony. But, having this extra outdoor space came in handy. While reviewing our notes from the day and sipping our coffee, we were able to watch the sail away for the two Carnival ships and Freedom of the Seas. Many cruises later, I am just still amazed at the navigation of these mega-ships. Amidst the excitement, we both had to get ready for dinner. 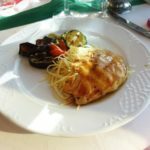 Tonight was the ship’s Italian night in the main dining room. Our plan was to get to dinner early, but my ship gazing and procrastination meant we did not arrive until 5:45pm. It took a minute for the staff to find our table in the Deck 6 Villa Rosa dining room as the layout is a bit different than a traditional main dining room set up. We ended up with a perfectly positioned table for two right next to a window facing out over the back of the ship and providing a great wake view. 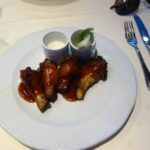 Our waiter did not introduce himself, but provided prompt and professional service for the two nights we ate in the MDR. As I usually do, I warned him that I like to eat and then proceeded to order two apps and an entree. 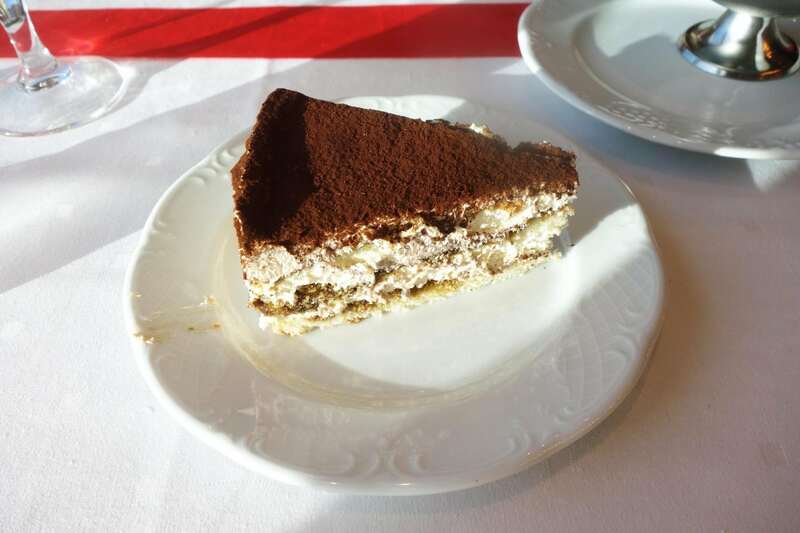 I almost ordered two entrees as well, but the dessert menu included tiramisu! Even I have my limits. 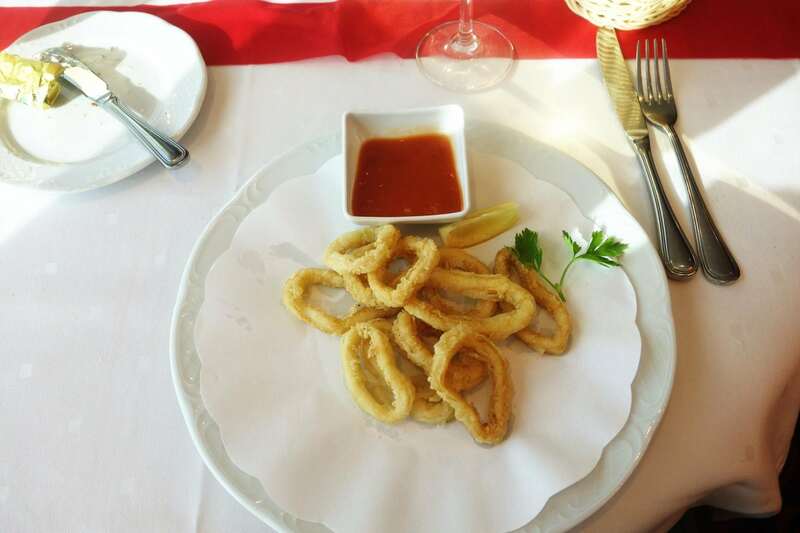 The fried calamari starter was hot and tender, whereas the antipasto came with a sweet combination of cured prosciutto and some delicious grilled eggplant and zucchini. The wife’s Caesar Salad was pretty typical, and she usually jokes that she eats more salad on a cruise than at home. For dinner, the wife did the Chicken Scaloppini, which to us seemed more like a Marsala sauce. My veal Osso Bocco was a savory dish. For dessert, I got one of the largest pieces of tiramisu ever. It ranked up there with some of the best versions of the dessert I have ever had! 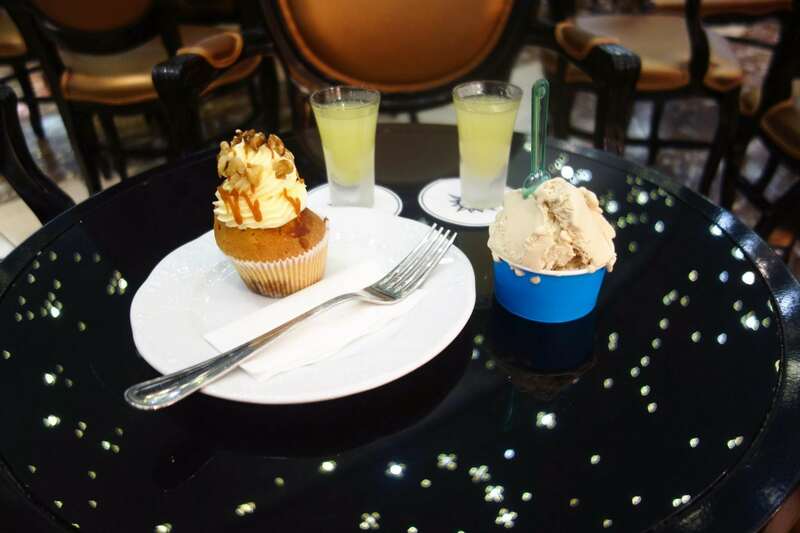 This popular dessert is even given its own little parade as it is ushered into the dining room in large circular cakes and then served right from the dining stations. Dinner time tonight was on par with most MDR experiences, lasting just about 90 minutes. Following dinner, we had plenty of options to continue our drink around the ship. Wanting to catch the 80s music trivia, we ventured forward to the Golden Jazz club. 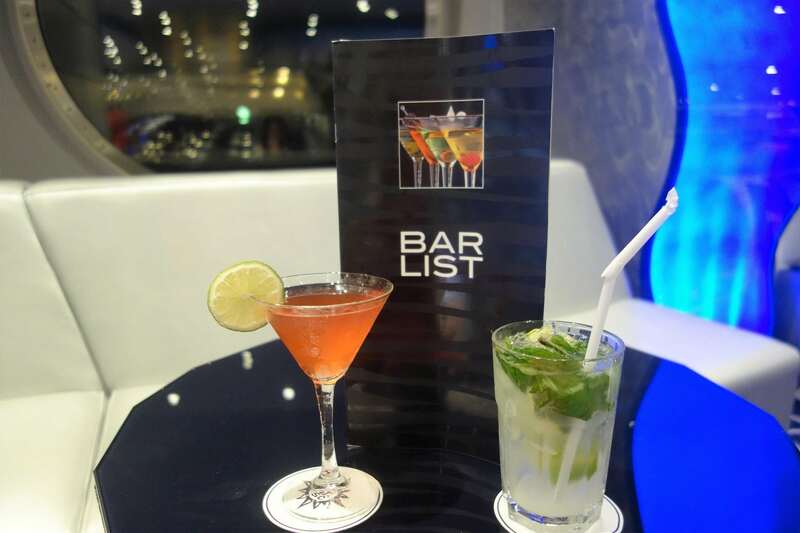 During our stay here, we leisurely played along trying to guess the 20 different 80s tunes and enjoyed some drinks from the standard bar menu and some salty snacks. Overhearing another cruiser comment on the Purple Rain, the Princess tried that cocktail, while I went with the rum infused Jamaican Paradise. If those names don’t scream cruise drinks, I don’t know what does. Many of the venues offer these snacks during the evening hours, which we thought was a classy touch. So, when our waitress delivered two small bowls with our drinks, it would have been rude of us to not eat them even though we just finished a three course meal. The crowd was very into this trivia game; it was the liveliest group of passengers we encountered all cruise outside of the dance club. Following the game, it was time to head to the theater. Tonight’s show, Simply Italian, paid tribute to MSC brand’s home country in both song and dance. 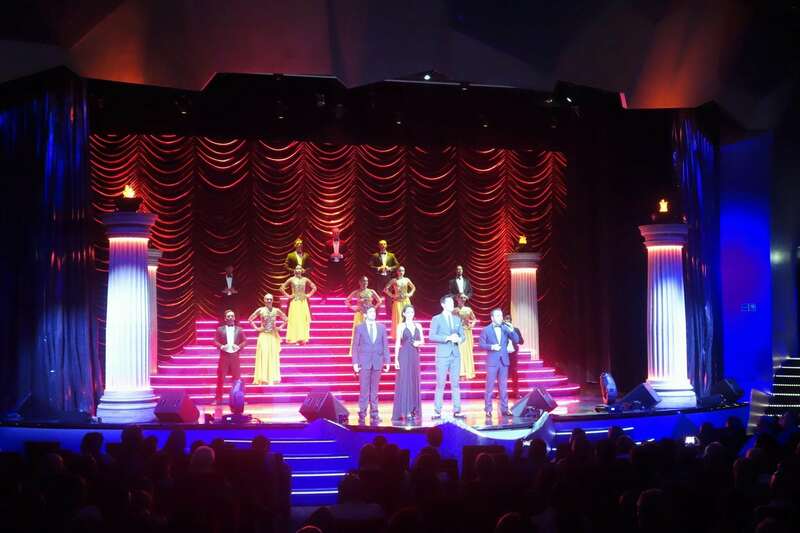 Contemporary Italian hits and some standards from the likes of Dean Martin and Frank Sinatra were woven together in this 45 minute production show which featured four very powerful voices from the entertainment team. 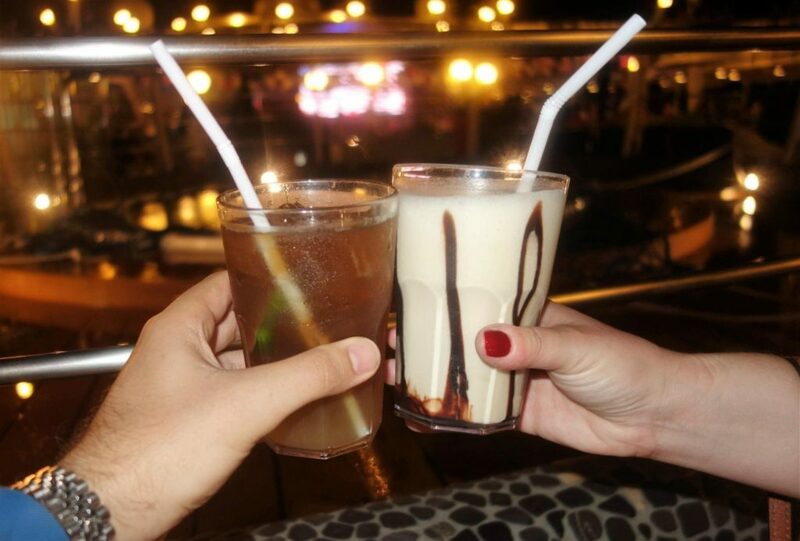 Following the show, we stopped in at La Luna to continue our drink around the ship. 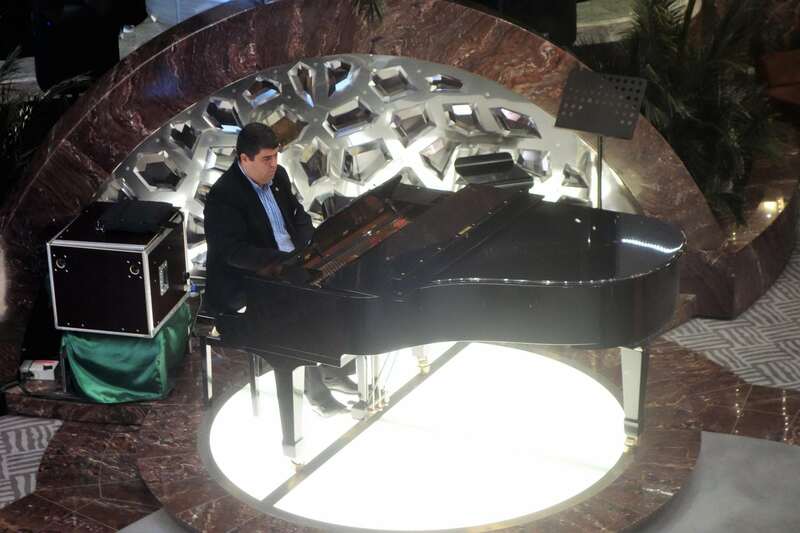 Here, the musical duo of Carey and Daniel, probably our favorite musical act on the cruise, covered contemporary pop hits, classic rock, and everything in between. We suggest scoping out one of the plush couches to enjoy the music and some drinks. 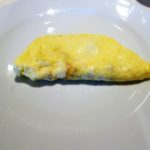 MSC Divina does service right, as there always seemed to be ample servers to manage the crowd. Promptly after sitting, we were greeted by a friendly bar server ready to take our order. Here, there is a signature martini menu, which included one page of premium cocktails not covered in our drink package and a second page of drinks that were covered. The Princess went with the Banana Split martini, while I went with The Floridan. Both drinks were quite tasty. Listening to the duo until their break around 10:45pm, we made a mental note that we wanted to return tomorrow night to try out some of the other cocktails, though that never happened. 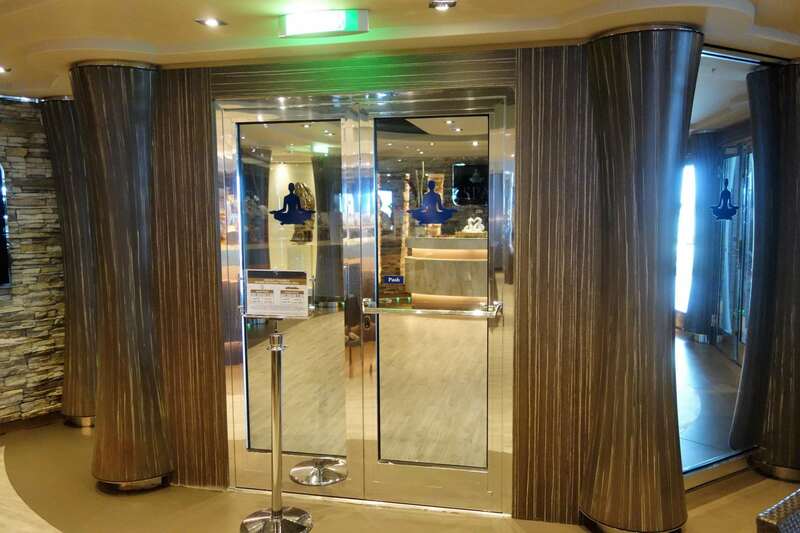 Next up on our tour was the Silver Lounge, wrapping around the open atrium on deck 7. 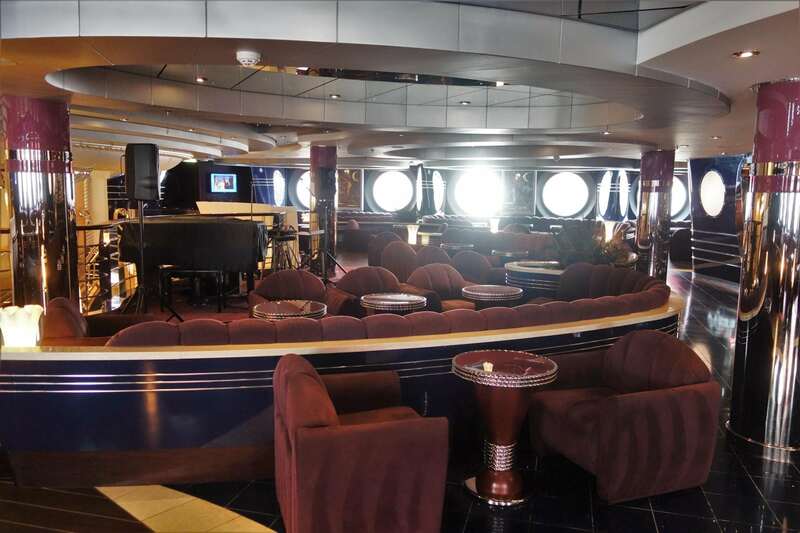 With no live music or entertainment offered in the lounge, it is a nice venue to relax and enjoy some conversation while still listening to the piano music from deck 6 in the background. We were a little boring with our drink choices this time around. The Princess ordered a Cosmo, and I did a Mojito. We found the drink quality and preparation to be very consistent across bars. 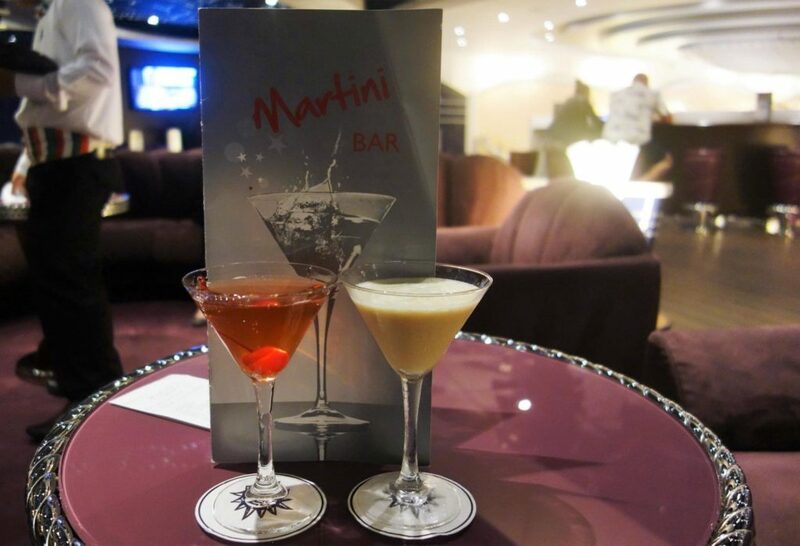 Consistency is a good thing when it comes to mixing up nightly drinks. Tonight’s themed event at the Galaxy night club was the Rock and Roll party. Much more our style, we got there right when the party started at 11:30pm to find a more engaged and active crowd than the previous night. 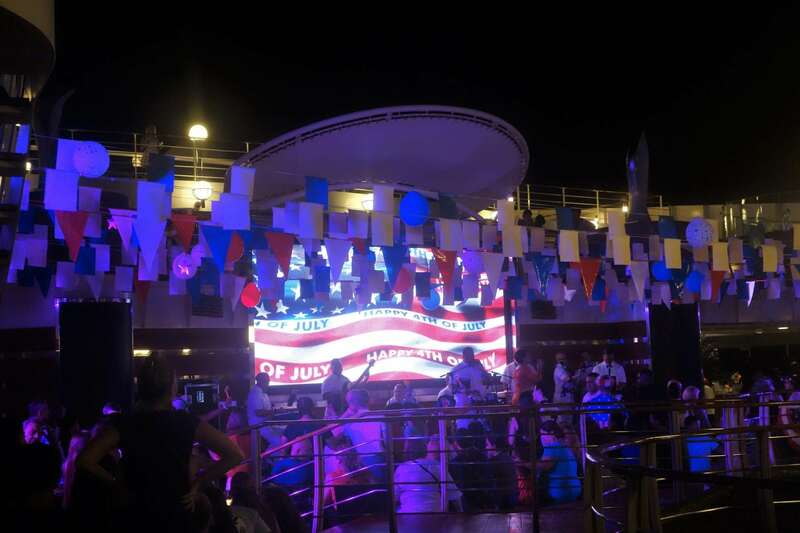 The numbers would continue to grow during the evening as cruisers came to sing and dance along with rock hits from Elvis, to Springsteen, to Bon Jovi. I think they threw that last one in on the Princess’ request. Scoring some lounge seats, yes I know we do a lot of sitting during these parties, there were no servers here, so I went up to the bar to order us some drinks. I went with a personal favorite of mine a Mai Tai, and the Princess tried a Blue Hawaiian. The party only lasted an hour, then the DJ switched up the music to a more traditional dance club. We made it through the first song or two then decided to call it a night. Back to our room around 12:30am, there were no towel animals to be found. A clean room with tomorrow’s Daily Program and disembarkation instructions (already!) but no white fury friends for our couch. The flip-flopped itinerary meant that we would be arriving in Nassau at 9am today. On the first day of the cruise, we had booked a couple’s massage for 9am thinking this day would be our stop in Cape Canaveral. Also, we had been provided with passes to the thermal spa, which we planned on testing out. However, with a mandatory staff drill at 10am and a change in itinerary, our original plans were now thrown into flux. 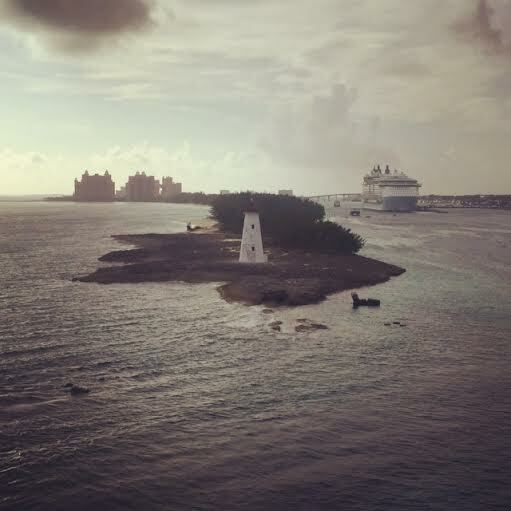 Up at 7am, the Princess was able to get some pictures of our approach to Nassau. Allure of the Seas happened to be in port today. While she was busy photographing Nassau and getting ready for the day, I had my marching orders to get us some iced lattes. We arrived for our massage right on time with the necessary paperwork in hand. We waited only a few moments until we were led into the treatment room. Neither one of us frequent spas, so we really enjoyed our 55 minute Bali massage. I managed to survive, even though at times it felt awkward and even a bit on the painful side! Following the massage, we made a quick pit stop back in the room then headed to breakfast, arriving at the Calumet Buffet just in time. 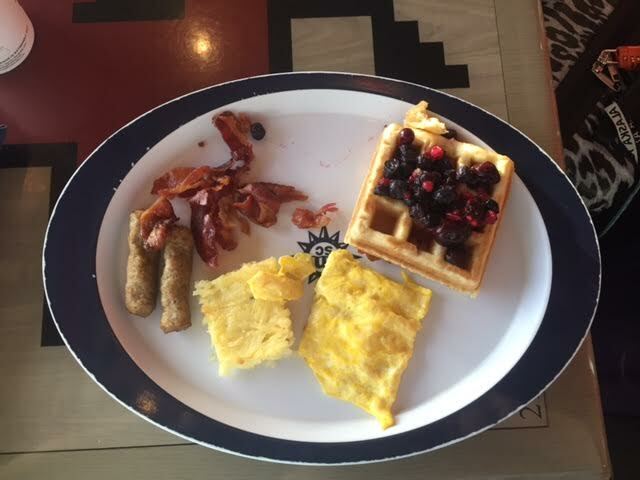 We grabbed what we could from the leftover trays, as they were transitioning to the Continental Breakfast options. 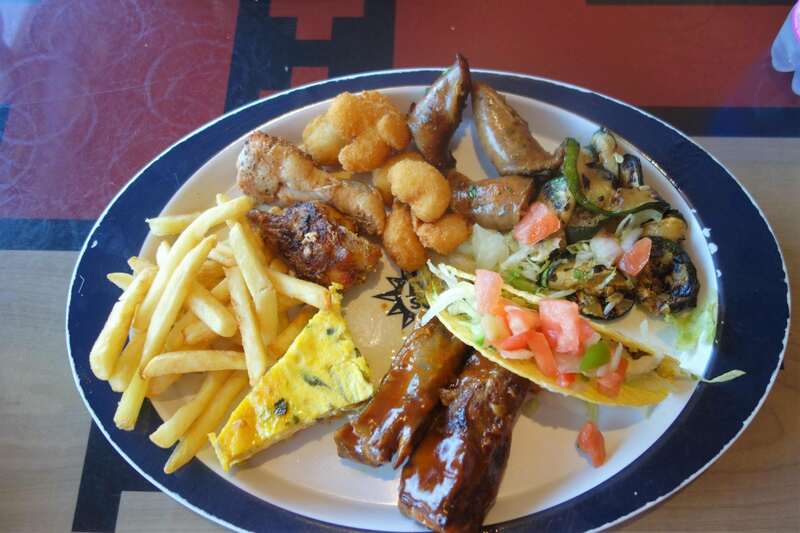 The buffet never really closes as food is available 20 hours a day (from 6am to 2am), but the selections do vary. Luckily, we managed to get some of the remaining hot breakfast items like eggs, sausage, and the one and only breakfast pizza. 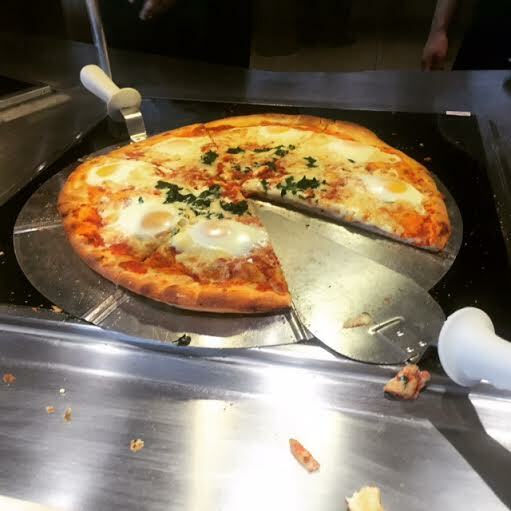 Yes, you read that right- a breakfast pizza. It comes Princess approved. 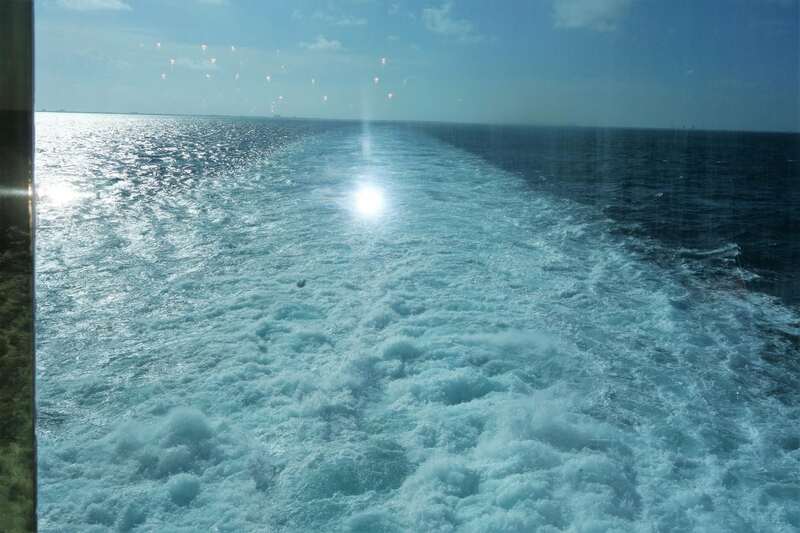 Even though we had just visited Nassau a few months ago, we got off for about 90 minutes. Our main objectives were to get some pier side shots of the ship and to do a little shopping. Throwing in a Starbucks iced coffee for good measure, we were back on the ship with only one souvenir. I almost got away without buying anything, until the Princess spotted a hand painted fish decoration that she thought would be perfect for our nautically themed basement. The 90+ degree heat and humidity required a few moments of A/C before doing anything else. 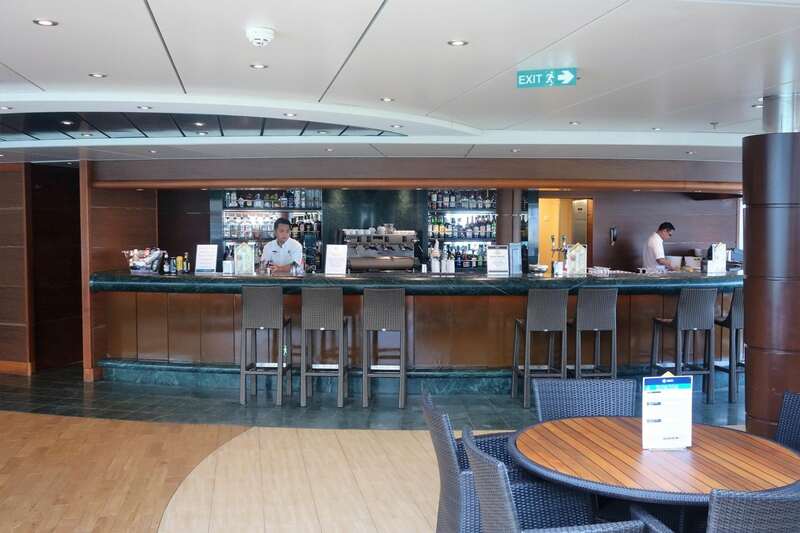 I had arranged with the events manager to get a tour of the MSC Yacht Club later that afternoon, but with half a dozen bars still left on our drink around the ship, we had to get started. But first, some food. 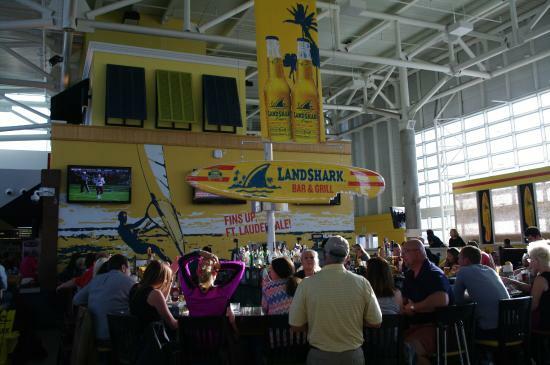 With a solid foundation now in place, it was time to hit up the Poseidon Bar. Frozen cocktails were on the menu for this round. I went with my favorite Pina Colada, and the wife did a Banana Daiquiri. While it is rare, her drink was actually better than mine. 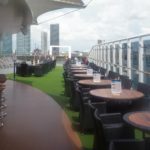 As we sipped these meal-like drinks and relaxed on a lounge chair, we were able to catch Allure of the Seas’ sail away, a most impressive feat. Finishing up that show, we bar hopped to the indoor pool and the Le Sirene bar. Running out of fruity drink options, the Princess opted for the Purple Rain again, and I tried the Rum on the Run. Given the timing, I only got a few sips into the drink before we had to head back to the room. I was set to meet the events manager at 2:45pm, but first I had to freshen up after spending the last few hours in the sun. Meeting at Guest Services, I spent about 45 minutes getting an exclusive look at the public areas of the private Yacht Club. Reserved for the most elite of cruisers, there is currently a multi-year waiting list for one of the 24 suites that can be reserved here. The amenities, level of detail, and service might be worth the sticker price as a personal butler and concierge team cater to your every need. 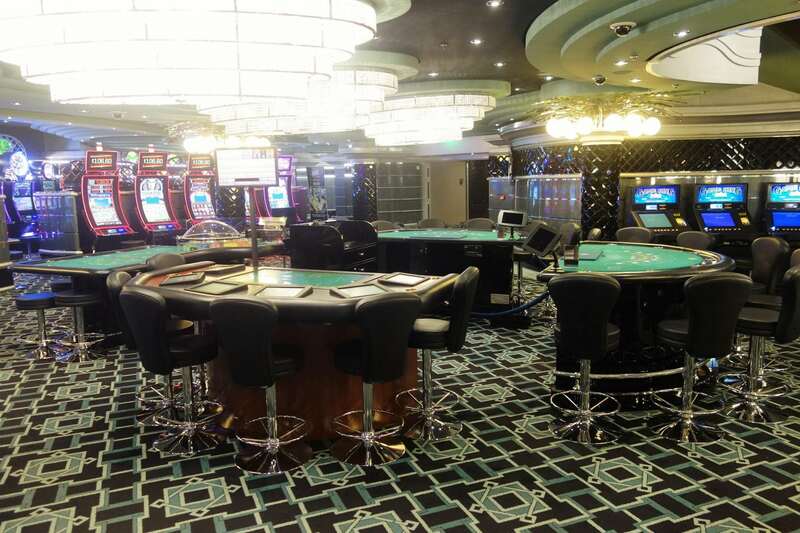 With a private pool, sun deck, restaurant, and an indoor and outdoor lounge, you have your own little ship right onboard one of MSC’s largest vessels. Back from my very informative, and eye-opening tour, we got ready for dinner early, so we could get a pre-dinner drink at the Divina Bar. 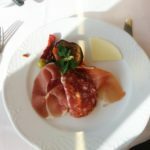 It feels like all we do on cruises is eat and drink?! When we got to the Divina Bar, I realized that I did not have the vouchers for our drink package, so I had to race back up to the room. This is one of the downfalls to this type of package. Perhaps in the future, they will be able to pre-load your room card with the package so you would not have to worry about remembering these paper tickets. Getting pretty standard drinks, a Cosmo and Long Island Iced Tea, we sat in the atrium for a few moments listening to music, reviewing the daily program, and charting out our course for the evening. Arriving on time for dinner, I was able to locate our table through the maze, that is the Villa Rosa dining room. Tonight’s menu did not have any theme that we could tell, so we ordered a hodge-podge of starters and entrees. 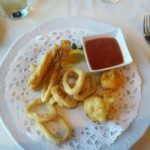 Again, the fried seafood appetizer was crisp and warm, and the wife’s mozzarella and tomato was lightly seasoned and served the traditional way, though with no balsamic. 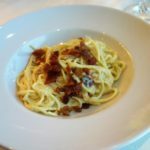 For dinner, the Princess tried the spaghetti carbonara which was prepared with very little cheese sauce and different than she expected. I went with the New York strip cooked medium rare, and it was prepared exactly as ordered. We did order desserts, but barely took a few bites as we had already decided to test out the gelato and pastries in the Piazza after dinner. 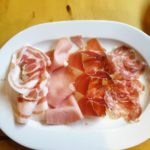 Nothing would go better with these Italian treats than two glasses of Limoncello of course. This was a bar after all! The gelato was smooth and creamy and well worth the small $2 upcharge. The cupcake on the other hand, only cost a $1 but was a bit disappointing. 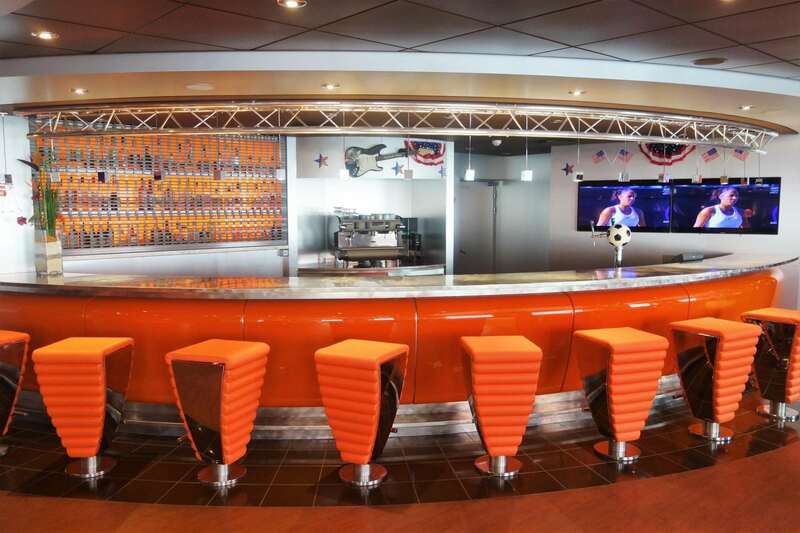 And we are moving on- up to deck 7 to the Sports Bar. Food is available here for an upcharge, and we did notice a few people eating here. But, we were just too full to try anything. 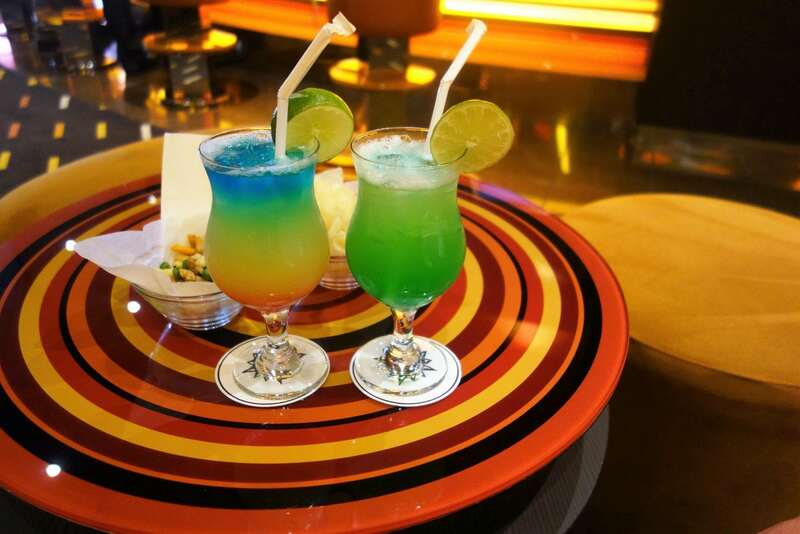 Instead, we continued our drink around the ship. The Princess went with another Cosmo, and I ordered a beer to change things up. Not paying attention, I ordered and was served a beer not included in the drink package. The bartender had already served the drink when he realized the error himself. 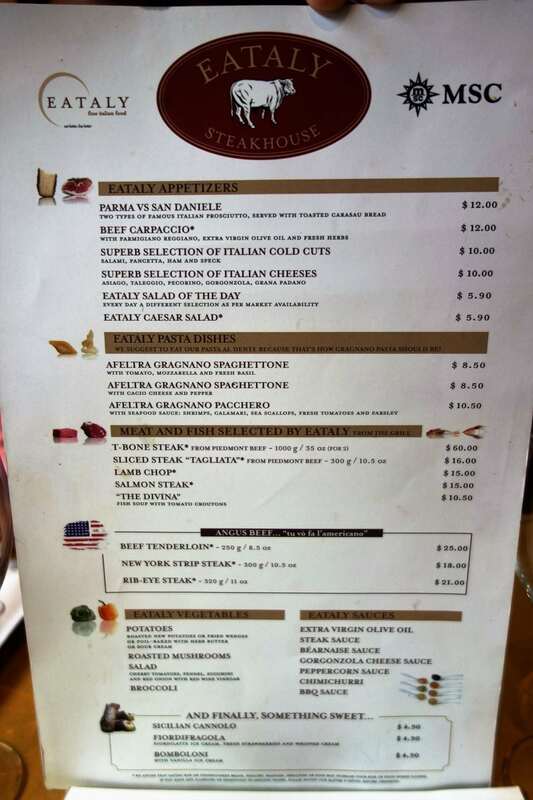 Tip: On most menus, you will see an asterisk indicating that a drink is only part of the Premium Drink package, not the Classic package (or vouchers). 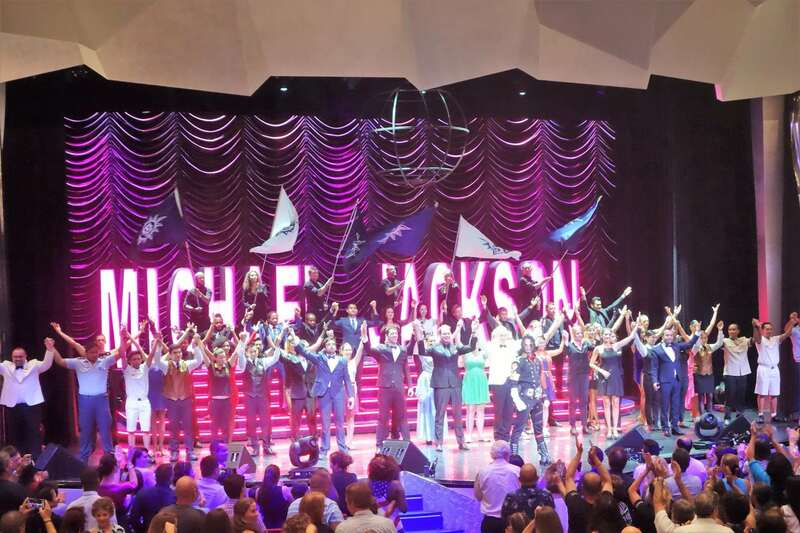 Hearing the buzz among cruisers, we were really looking forward to tonight’s show, Star Walker, a tribute to Michael Jackson. Similar to Day 2, we got to the theater about 20 minutes early, with Bingo finishing up. We were able to get aisle seats with a great view of the show, but the theater did fill up pretty quickly tonight. Most of the music and singing is pre-recorded, but the highlight here is the dancing. 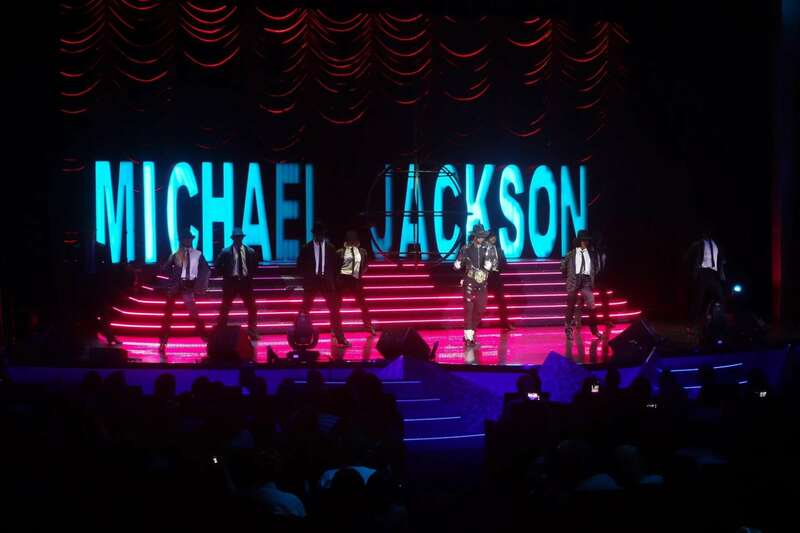 In particular, the Michael Jackson “impersonator” had amazing moves like the King of Pop himself. 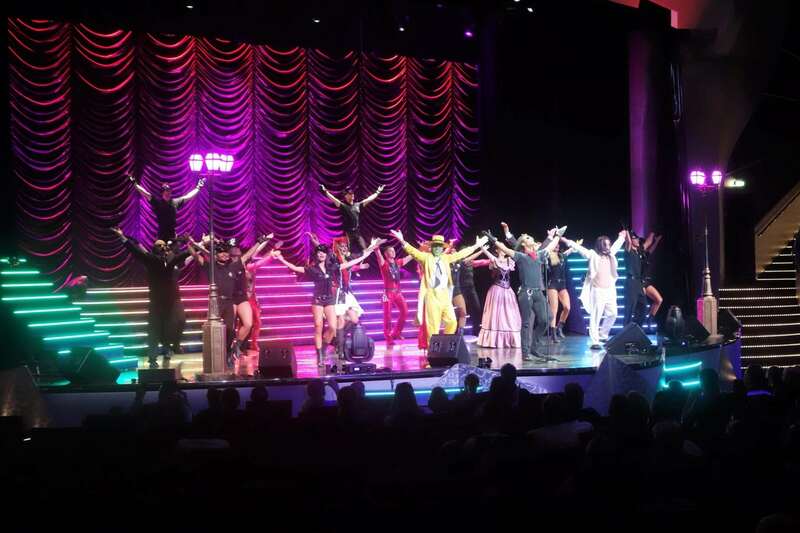 Hands down, this was the best show we saw all cruise, and I think the rest of the passengers agreed with us given the applause and standing ovation at the end. 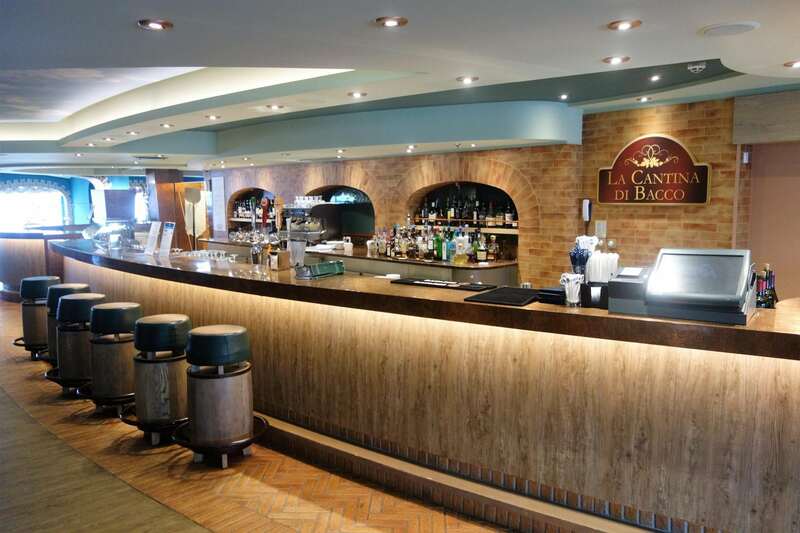 Finishing by 9:45pm, we crossed the length of the ship to La Cantina di Bacco on deck 7. 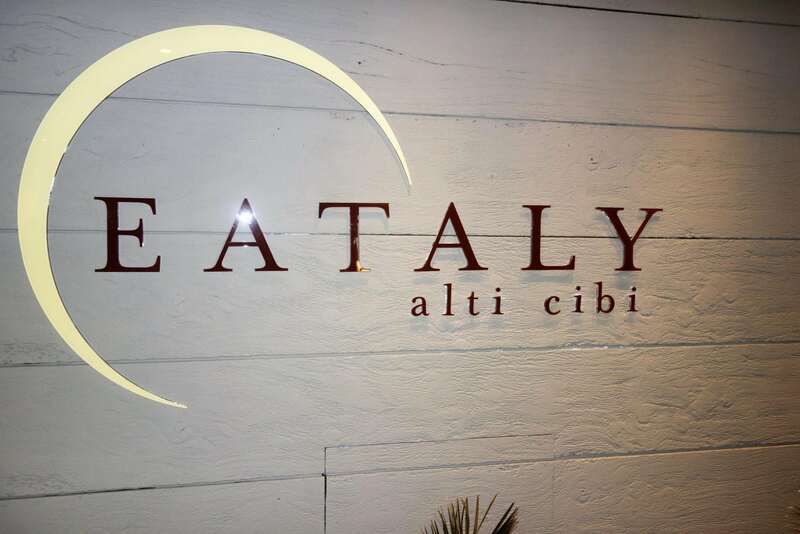 This wine bar also includes its own Eataly homemade pizza, including the famed meter pizza. Resisting the urge, we each just got a glass of vino to knock out another bar on our list. Wanting to try to get seats for the Red, White, and Blue Party at 10:30pm, we didn’t stay too long before heading up to the pool deck. Lucy Grau and her band had already started the pre-show, so both decks were relatively crowded. This meant that we sat on the edge of one of the water features at the back of the action. We had only one bar left on our tour, purposely leaving the Tritone bar for the pool party tonight. Wanting to change it up, the Princess went with a Butterscotch Mudslide, and I did a typical Long Island Iced Tea. 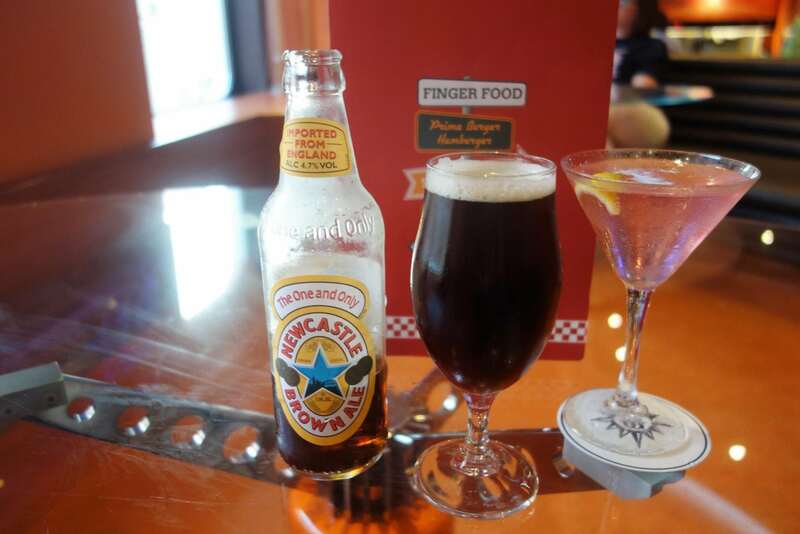 Now, our drink around the ship was complete. The deck party lasted about an hour, which included a mix of standards and Latin music from Lucy and her band, complete with a conga line. It did not have a very “American” feel, even though the event team was wearing patriotic costumes. And too bad there weren’t any fireworks! We were about to head to La Luna for one last round of martinis when I realized I must have left the Princess’ key card at one of the previous bars. Back tracking a bit, we were unable to locate the card, so it was time for me to take another trip to the Guest Services. As you would expect, the line at the desk snaked into the atrium as everyone was reviewing their account. I had to wait about 20 minutes until we could both get new key cards, and in the meantime, the Princess decided to call it a night. Our 4th of July cruise was officially over. Even with our mid afternoon flight home, we planned to complete self disembarkation. 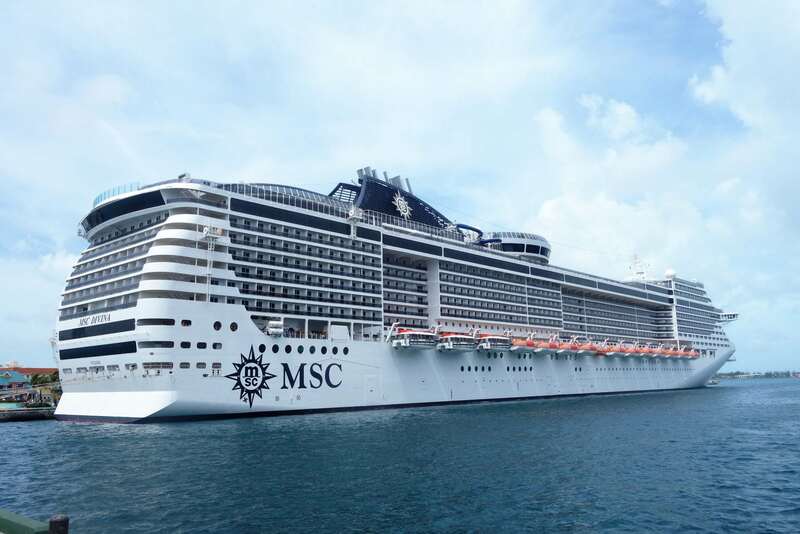 MSC requires all cruisers to be out of their staterooms by 7am regardless of their departure times. We did not stick around long enough to see if this was actually enforced or not. Everyone was assigned a central meeting location where they would wait until their luggage tag numbers were called. Yes, even self disembarkation was supposed to meet in the Casino. With the alarm set for 5:15am, we got ready and packed up our remaining luggage. While the Princess finished getting ready, I used some of our remaining drink package vouchers for our morning lattes. We ended up having 6 vouchers unused. With all of our bags in tow, we were out of the room a few minutes past 7am. In no hurry, we headed up to the buffet for one last cruise breakfast. Not feeling terribly hungry, but knowing we had a long travel day ahead of us, we threw together a plate of various breakfast selections. Making a quick restroom pit stop, we headed straight down to the gangway on Deck 7 around 7:45am. We were off the ship, through customs, and at the loading area in 15 minutes with no lines and practically no waiting. This was the smoothest disembarkation we have ever experienced. Albeit still way too early for our flight home, we just grabbed a taxi for the 35 minute ride to the Fort Lauderdale airport anyway. Upon arrival, I inquired about getting on an earlier flight, but there were already a few people on standby. Instead, we broke out the computers and started blogging until we could check our bags and go through security about two hours later. Grabbing lunch at Landshark and reviewing our notes, we made good use of our time until Southwest was ready to board our flight. With an uneventful flight home, we were through baggage claim, to our car, and on the road. Expecting some traffic during the 6 o’clock rush, we surprisingly made it home in record time with an MSC cruise now under our belts. These short cruises, while great for a quick getaway, always leave us wanting more, and this was no exception. 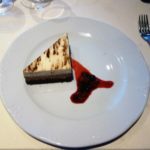 Given that there was still plenty to explore on MSC Divina, we are looking forward to another sailing with MSC cruises. 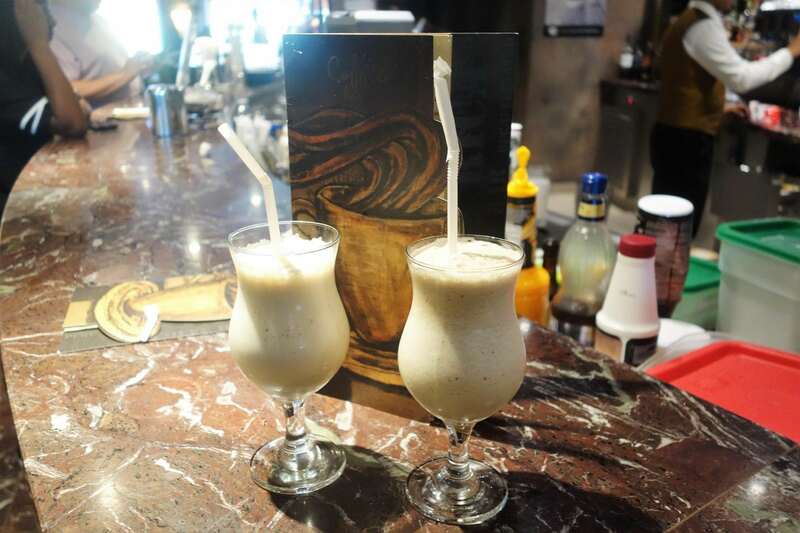 Have you sailed on MSC Divina? 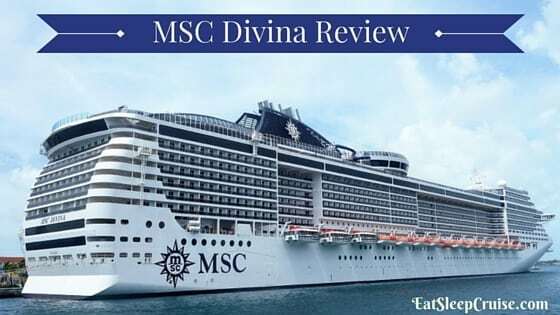 What do you think of our MSC Divina Review? Drop us an anchor below to share your experiences onboard this vessel. We would love feedback or questions too. Most important question: Since you live in New England and know the best pizza in the world comes from New Haven, CT, how does the pizza compare to the real thing? Haha. Leave it to you Matt to try and get us in trouble! 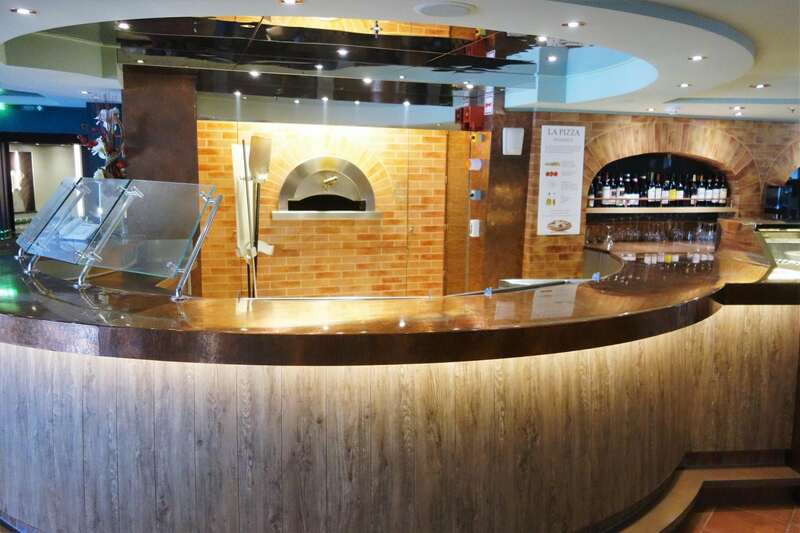 Quite honestly, the pizza on MSC Divina was the best we have every had at sea. 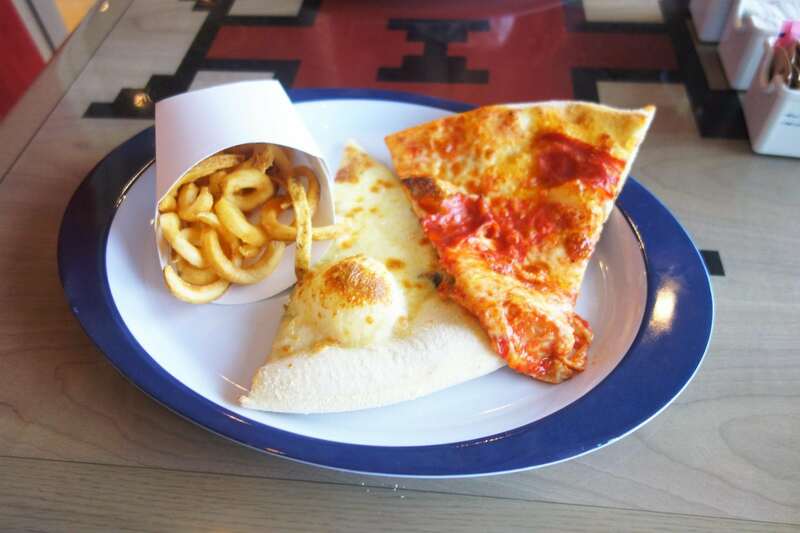 It was fresh and cooked to just right with a crispy crust, unlike some other cruise line pizza. As far as how ti compares a rather famous unnamed CT based pizzeria, we will plead the fifth. Comprehensive review! Looks and sounds a great ship, the drinks packages do sound confusing though! MSC do some interesting european itineraries and for some reason we are not sure if this cruise line would be for us. However after reading your review we may have to reconsider. Thanks for sharing! Appreciate the comment Carole. Glad to hear you are considering MSC for a European cruise. We feel the cruise line would be a great fit for cruising in that region. Thankful, it appears in 2017 MSC is going to revamp the drink package system, so hopefully it becomes easier to navigate. We are planning to try the MSC Seaside when she makes her way to the US in 2018. We would love to hear how your cruise turns out, if you do book one. Thanks for reading. I am sure we will try MSC as they do have some great itineraries and prices too! 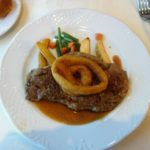 We are just back from a cruise on the Thomson Celebration which was a first with this company and really enjoyed that. 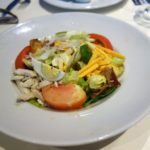 We have been fans of Royal Carribean and are back on the Independence of the Seas in October, though it’s great that there are now so many affordable options to choose from! We are quite fond of RCI as well. We did Indy back in 2014 and had a fabulous time. We are leaving for an Oasis of the Seas cruise soon, so be on the lookout for our latest review of the ship coming this fall. Happy Sailing. Look forward to your Oasis review. Have a fabulous time! You talk a lot about the drink packages. We are going on the MSC Divina April 2017. What advice do you give on the packages? My husband and I love to drink. Would you suggest buying it before you board or as you board the ship? Also, what is the best package to get? Thank you for all your help! Your blog has been so helpful in this process! Hi James, Sorry for the delay getting back to you. 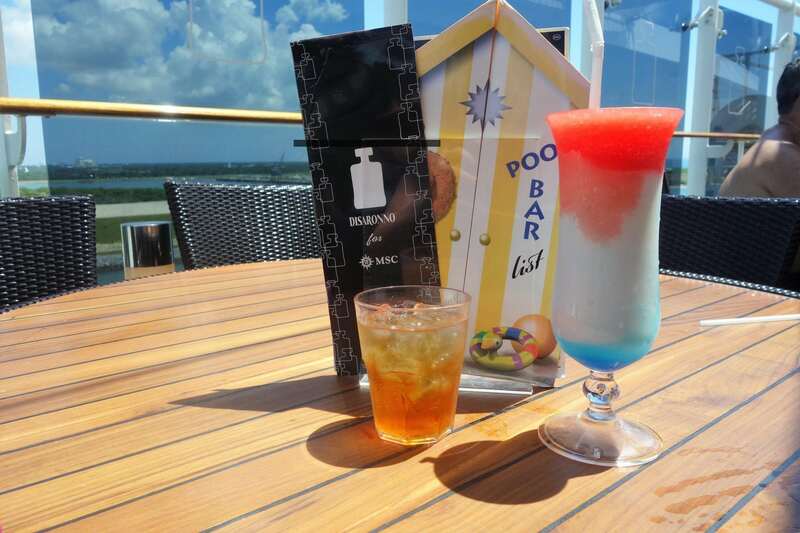 MSC Cruises is updating their drink packages. Our suggestion, wait to you get aboard as there are a variety of different packages. If you like to drink, go with one of their more inclusive plans, I believe it is called the All-Inclusive Premium package. That is the best one. Let us know how you make out. Thanks for reading and appreciate the comment. 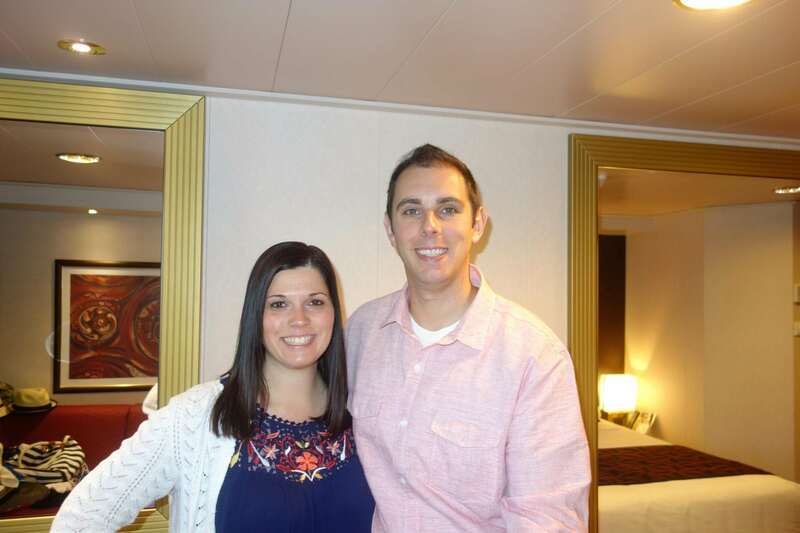 My husband and I are taking our very first cruise with our 8 year old son and our friends and their 2 kids. We are sailing in June 2017 on the MSC Divina. We are not thrilled about going to “Gala” nights in the Main Dining Room because we don’t want to dress up in formal attire. We are on vacation and dressing up is NOT relaxing to us. Are we going to be missing a better menu? Also, any advice you can give us as first time cruisers, please feel free!! We really don’t know what to expect. Thank you for your review!! Great website. I’ve only just discovered it. 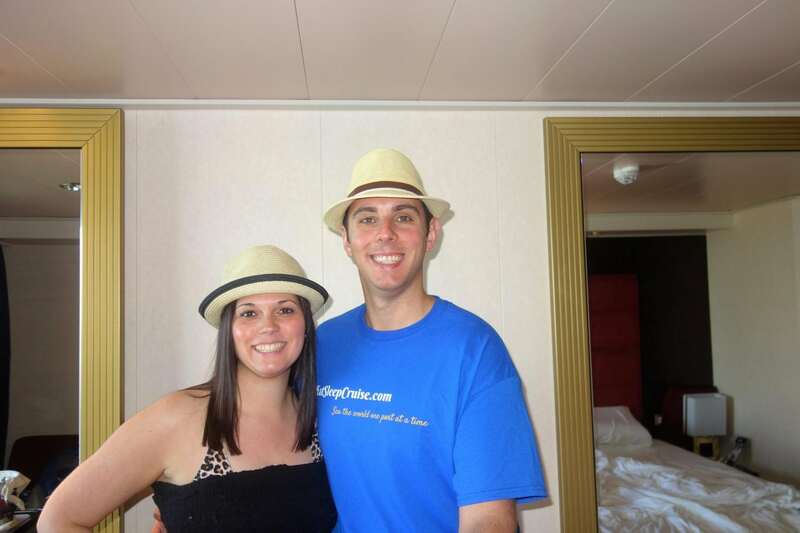 My wife and I have cruised a number of times including a few MSC ships. One comment on the tomato and mozzarella salad. 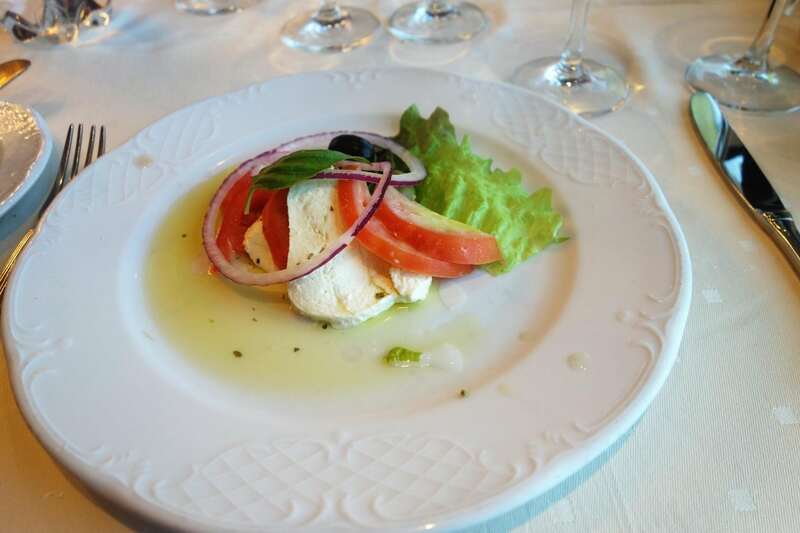 The traditional preparation does not have balsamic vinegar. Thanks Mitchell for the kind words about our website. Glad you discovered us too! 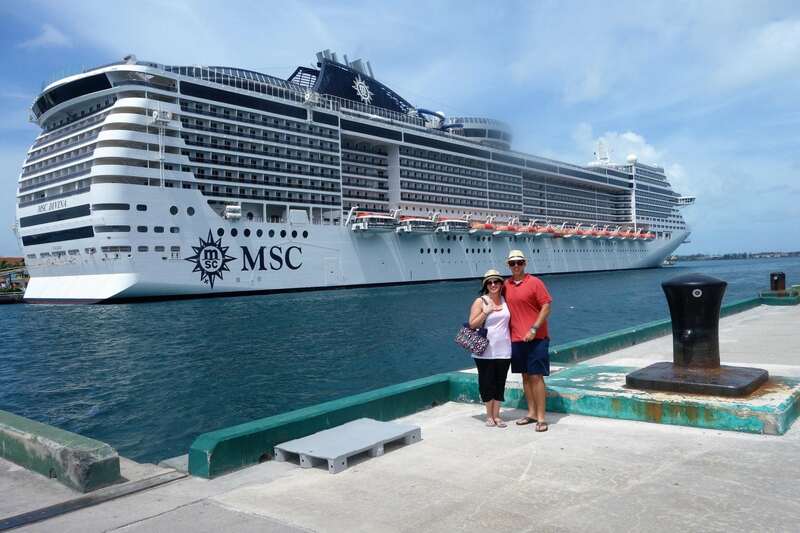 This was our first MSC cruise and we look forward to trying MSC Seaside when she sets sail later this year. When is your next cruise?